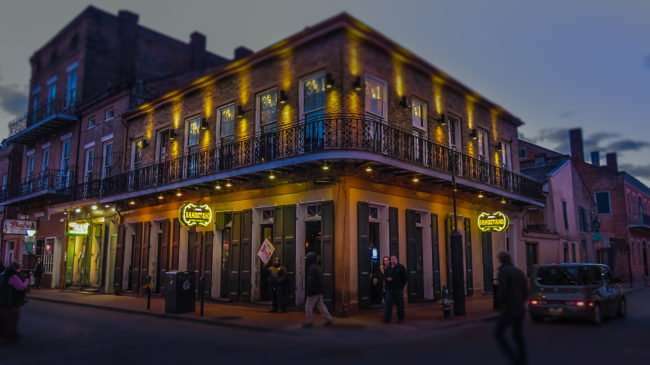 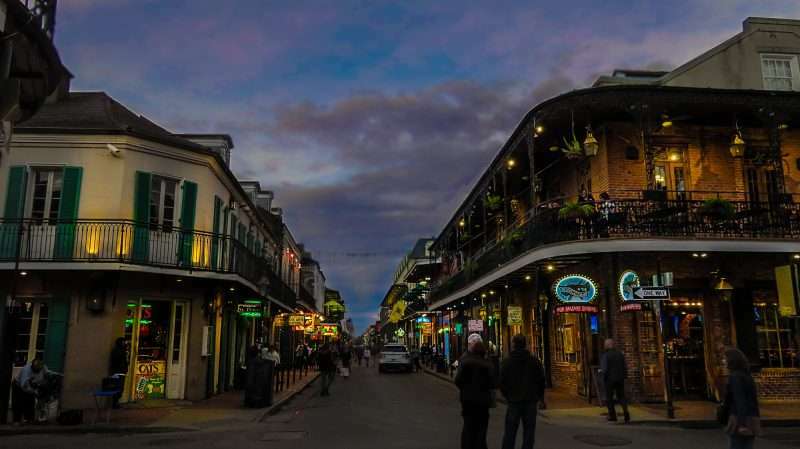 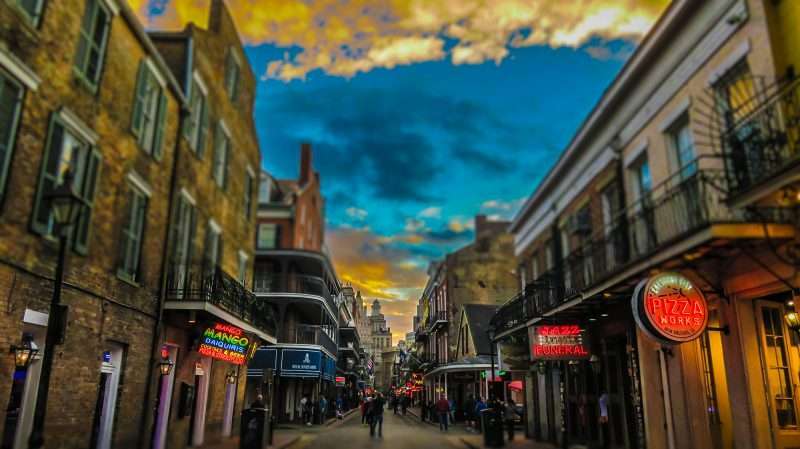 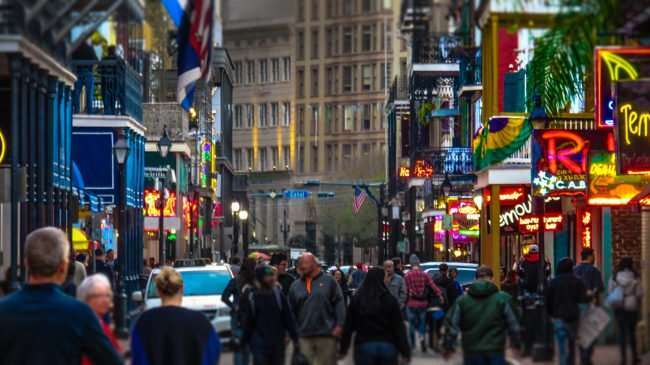 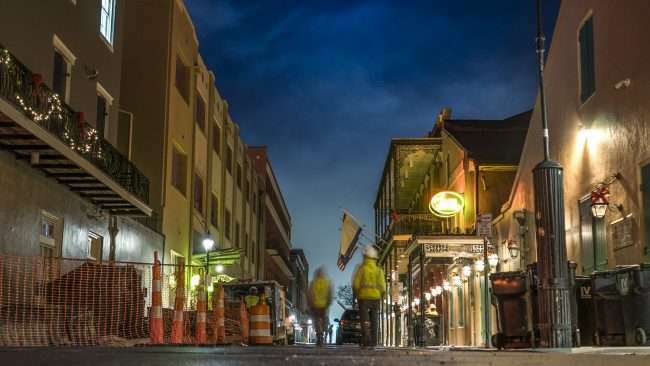 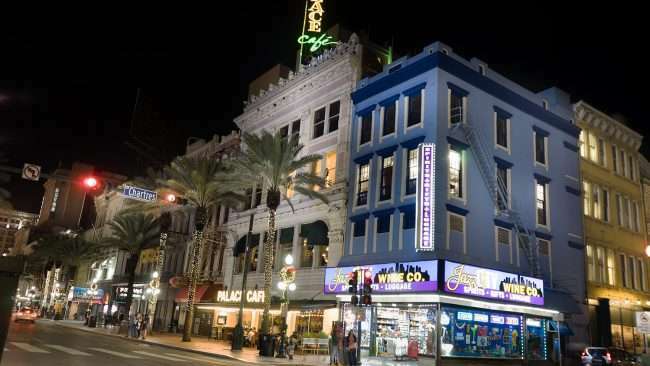 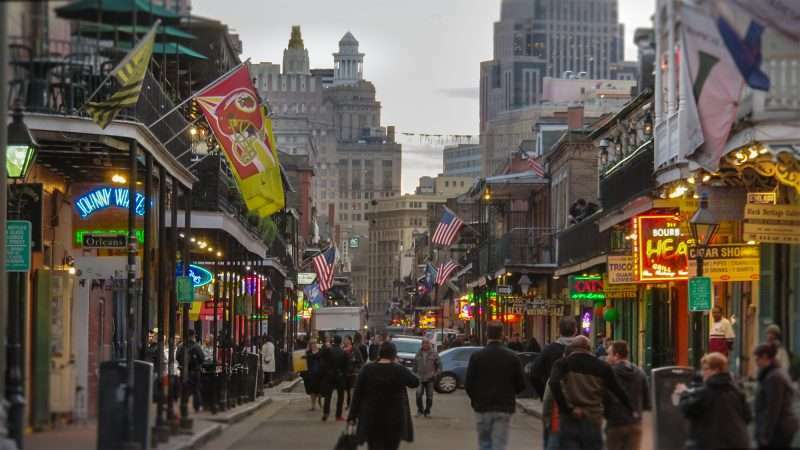 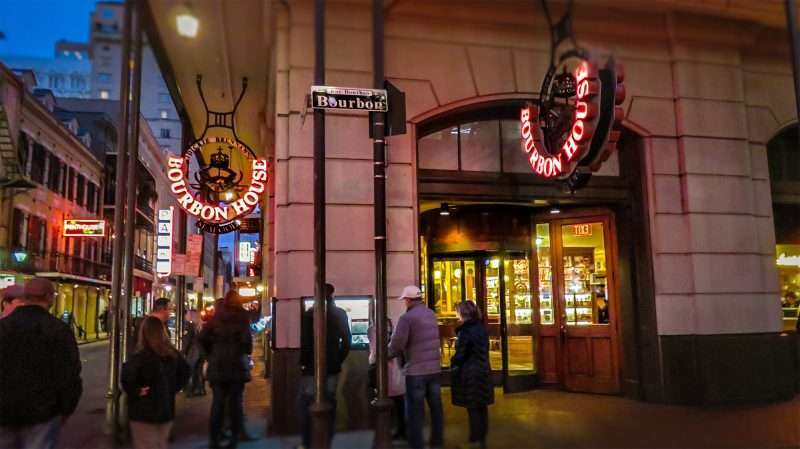 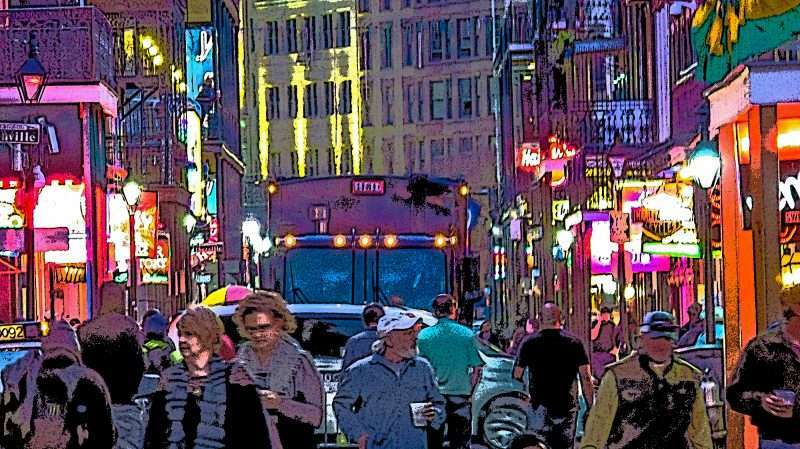 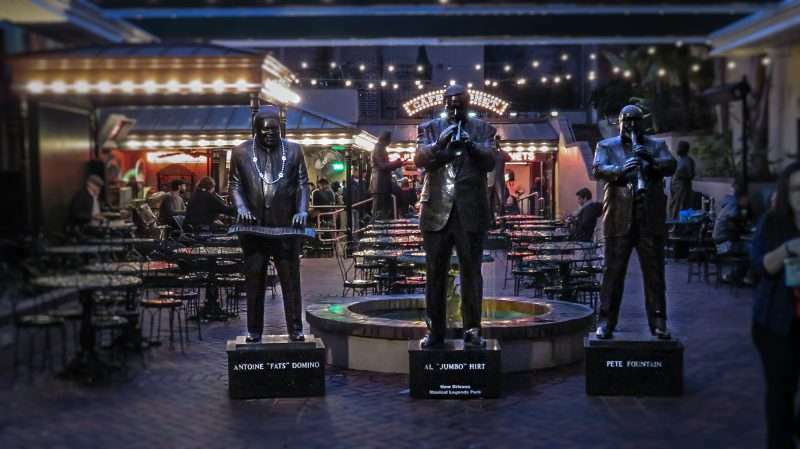 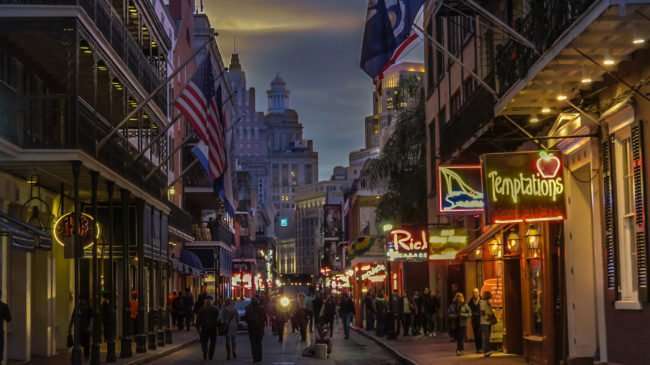 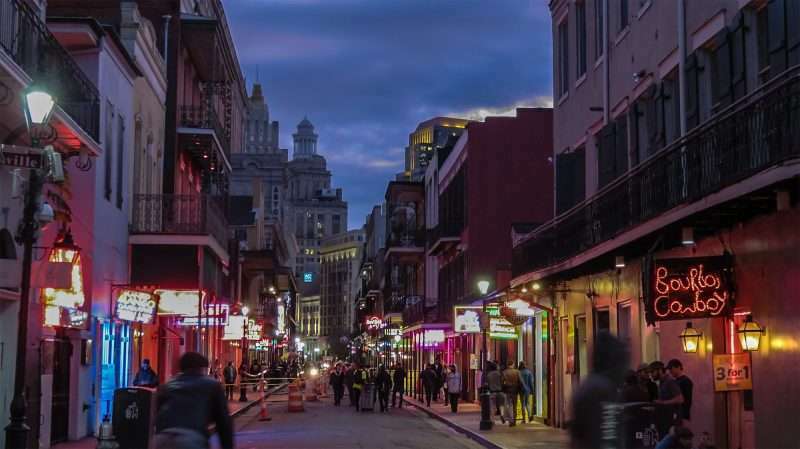 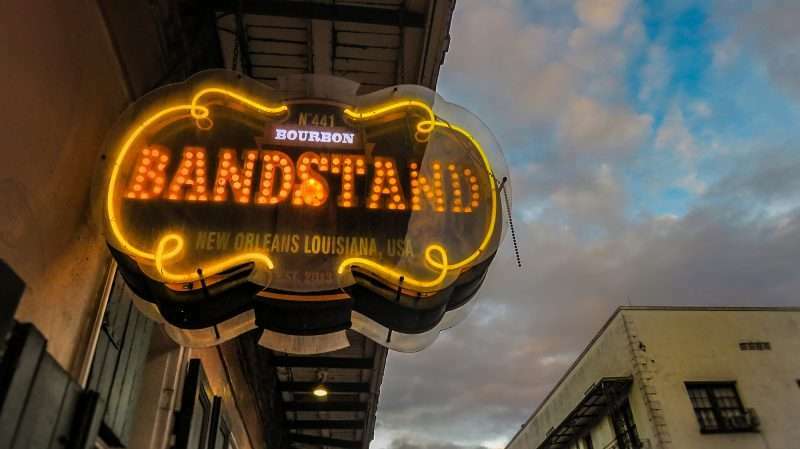 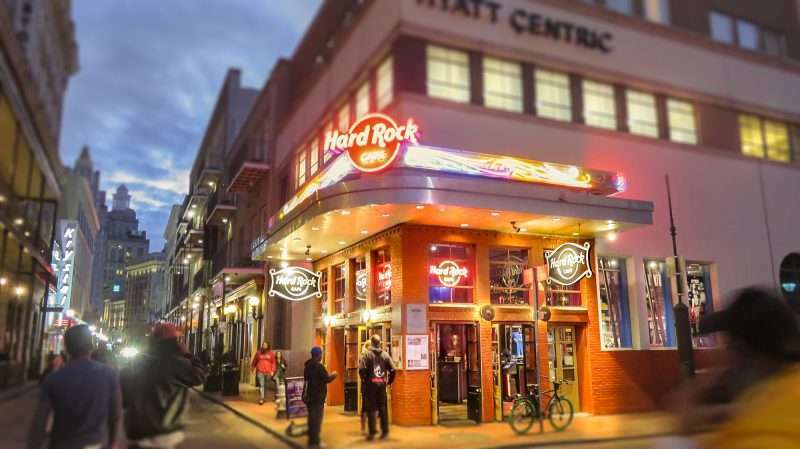 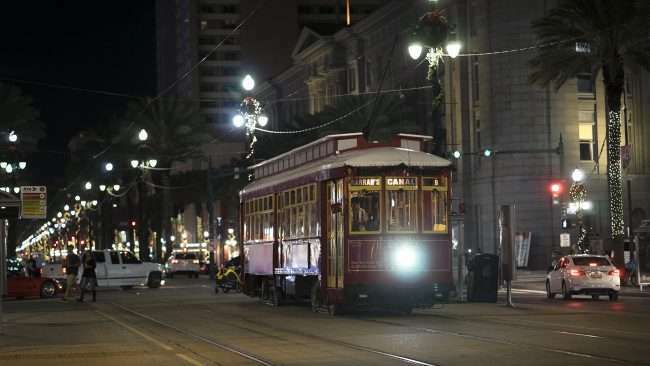 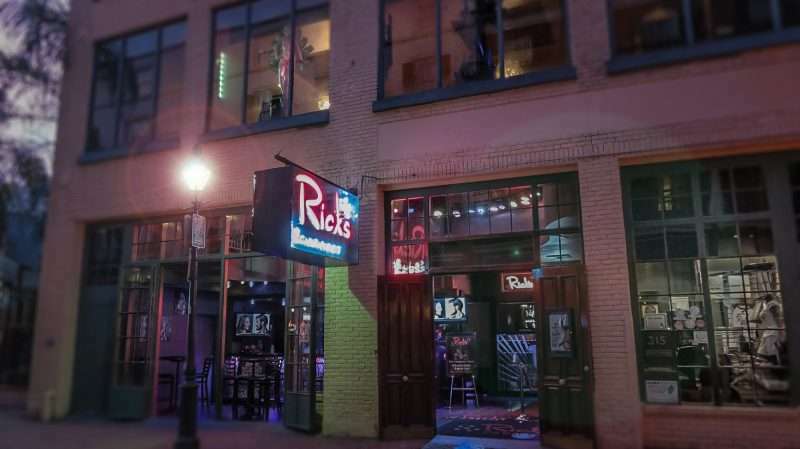 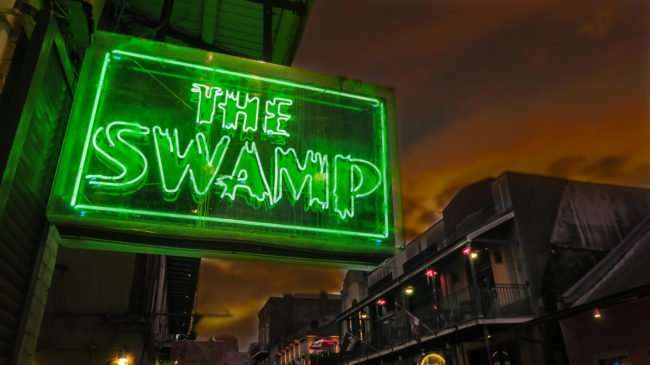 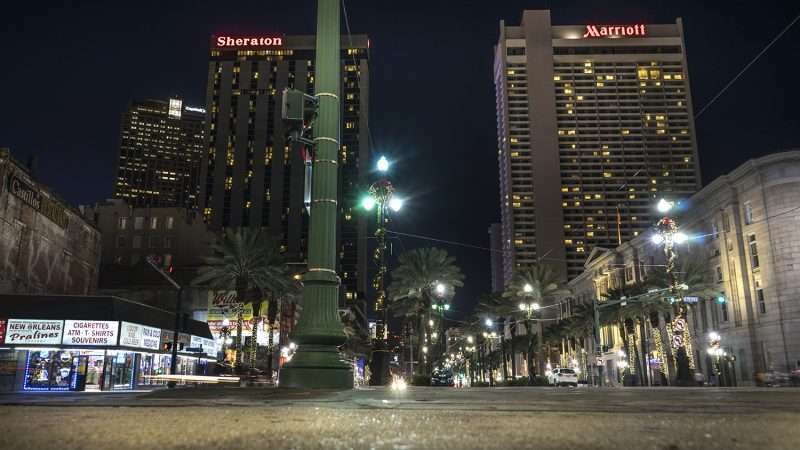 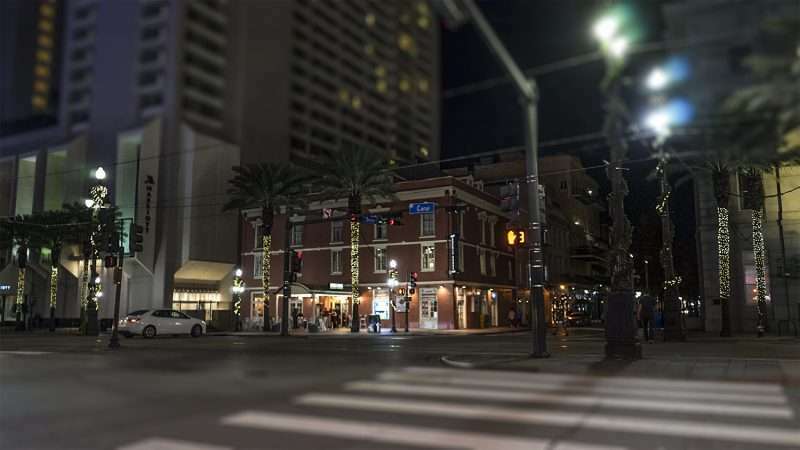 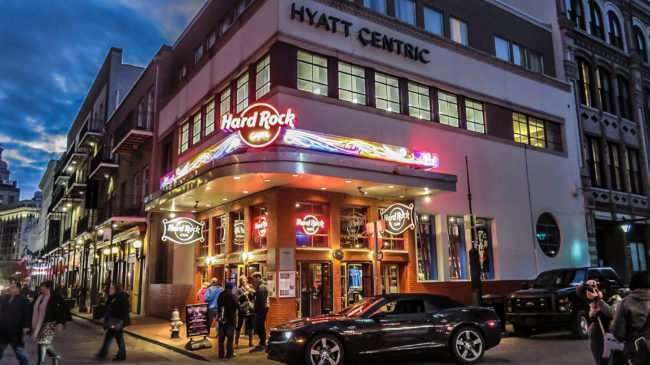 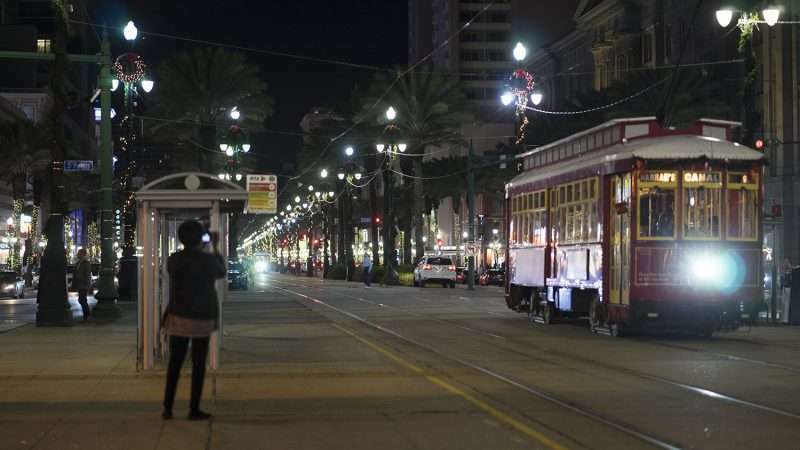 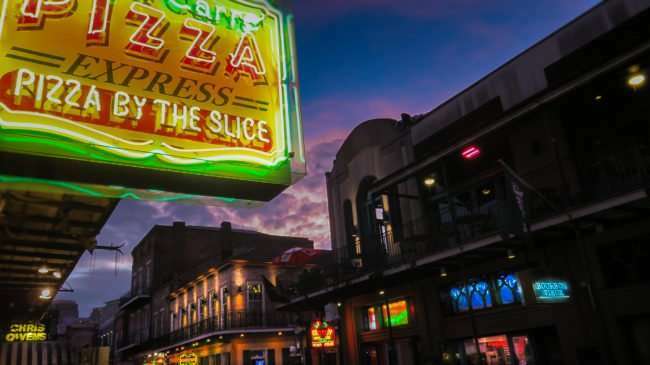 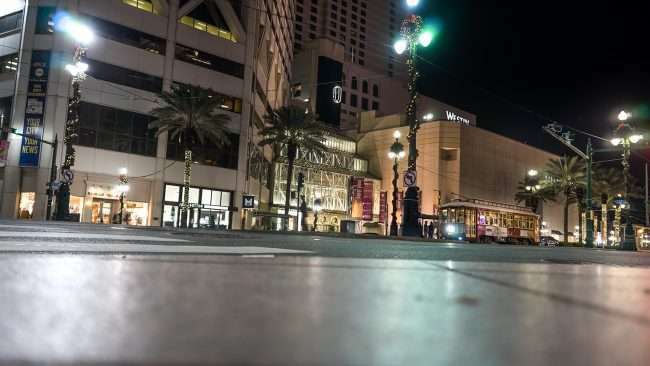 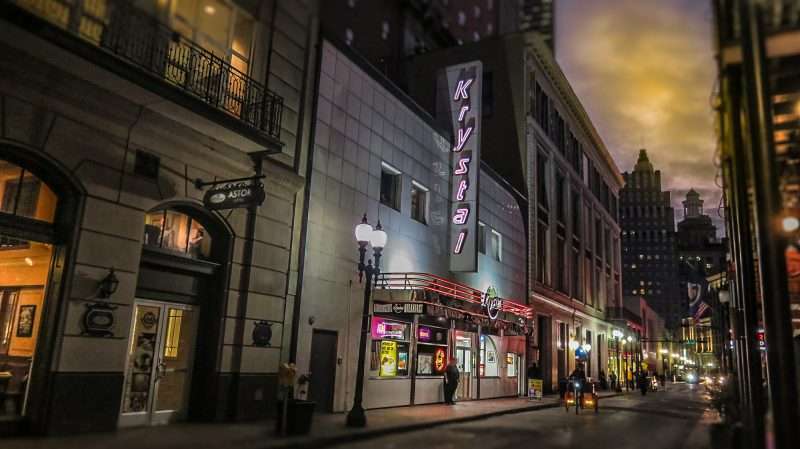 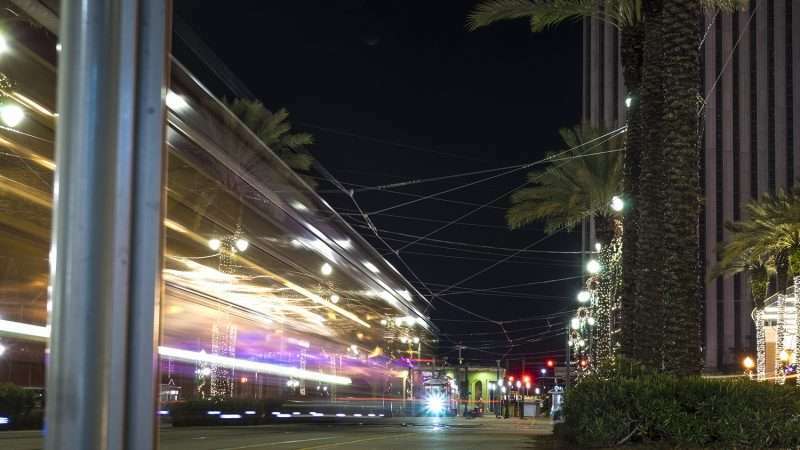 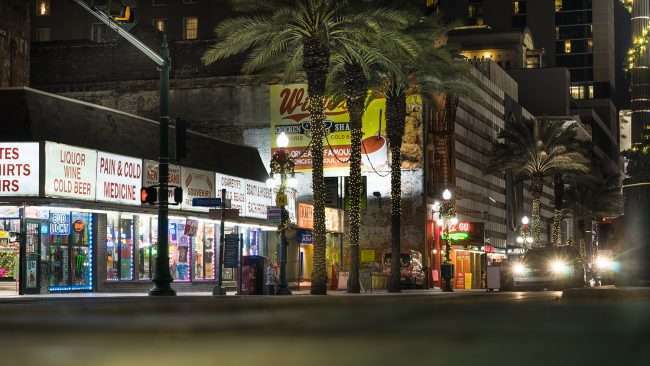 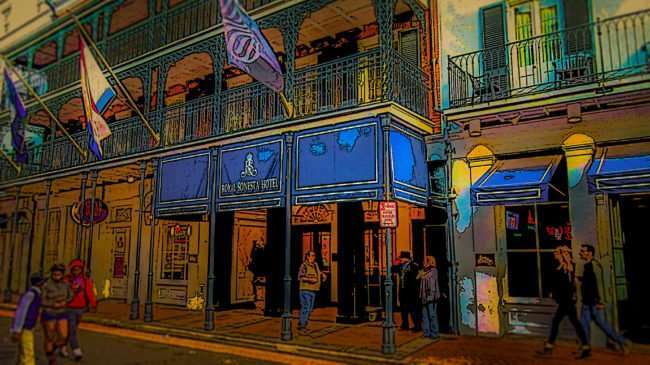 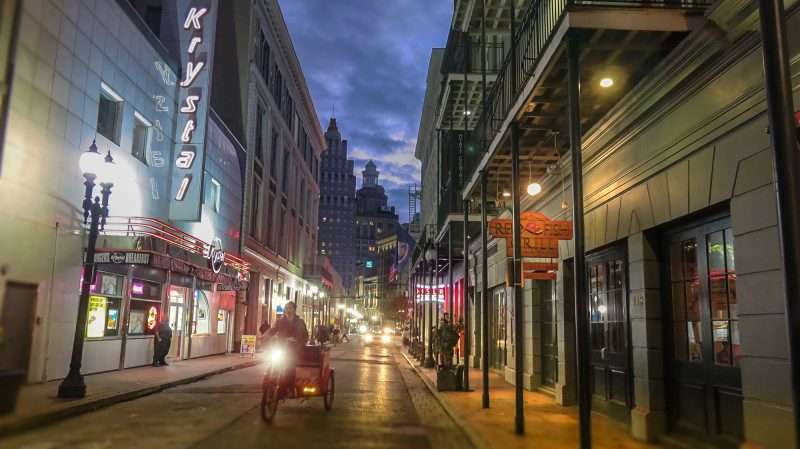 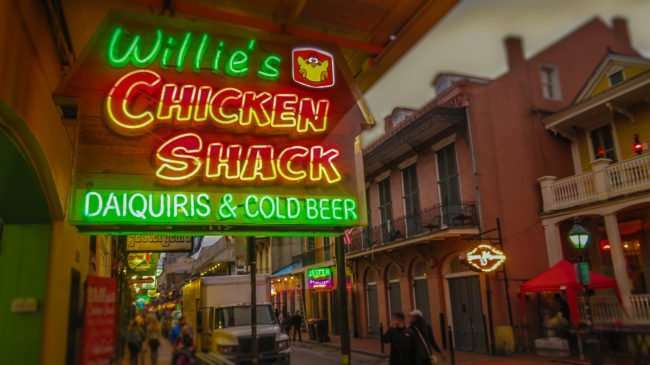 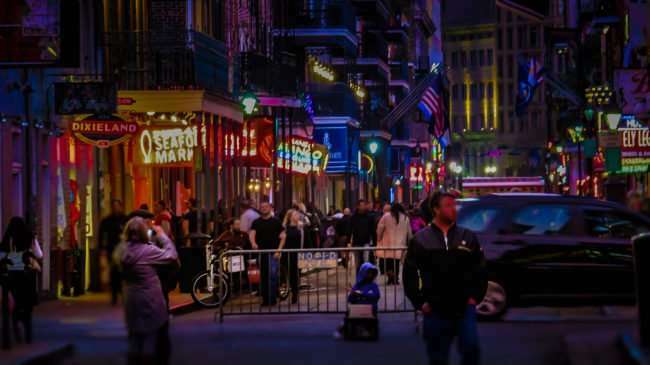 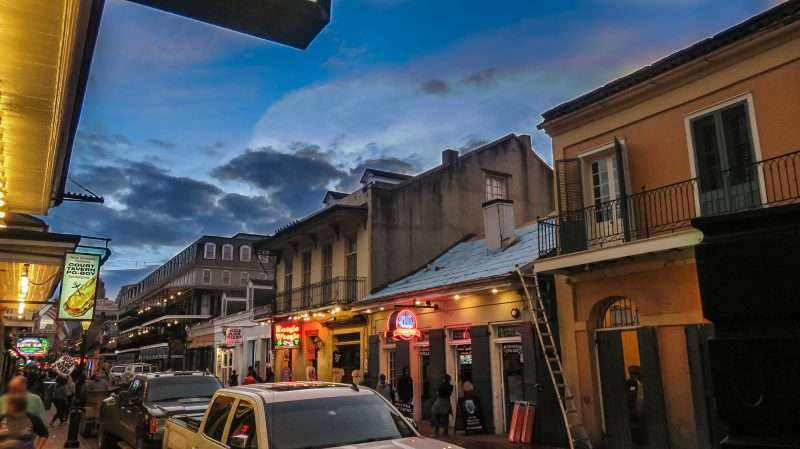 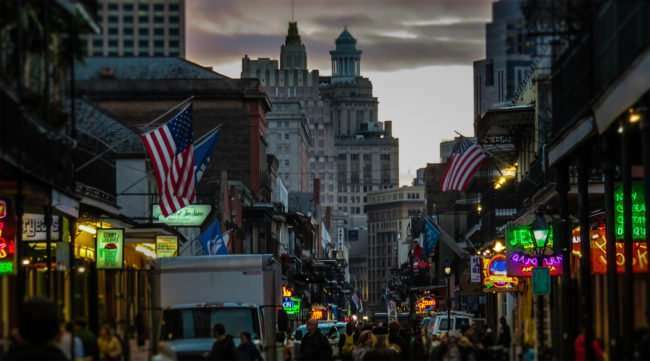 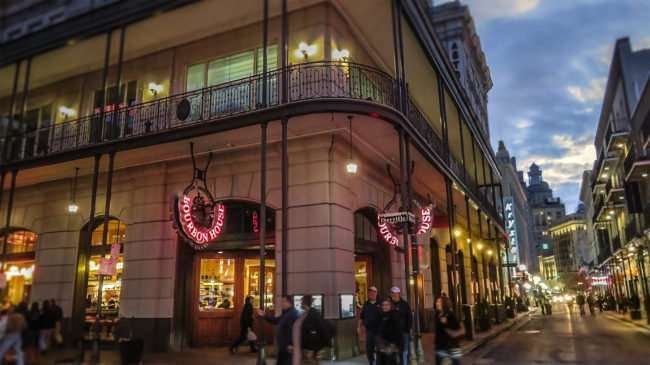 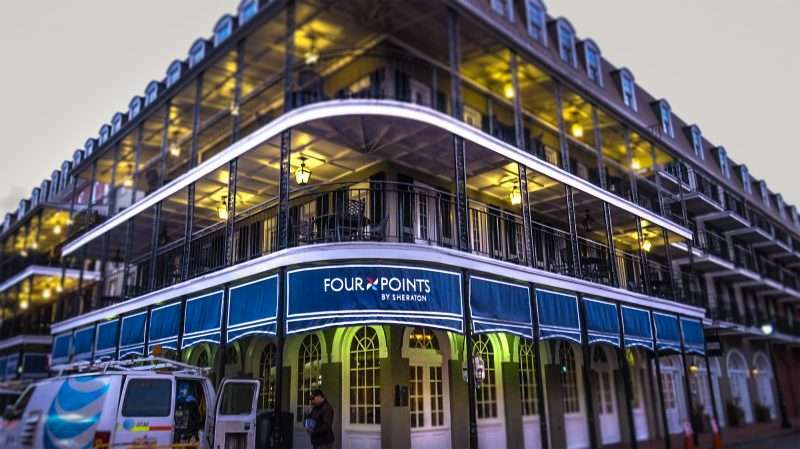 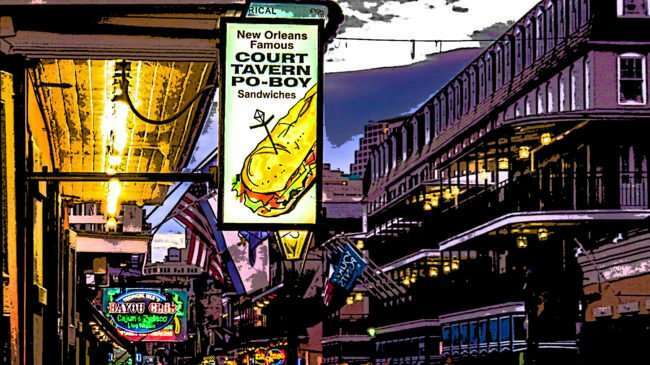 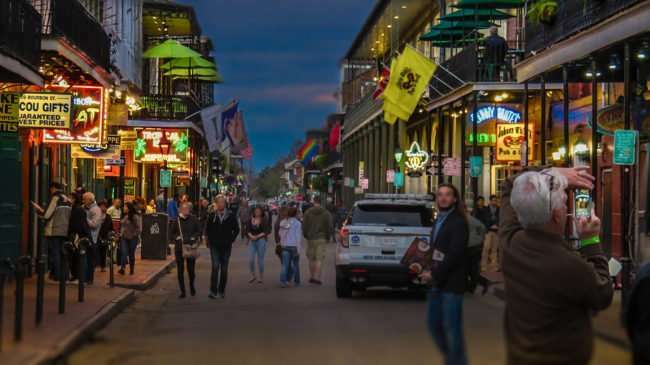 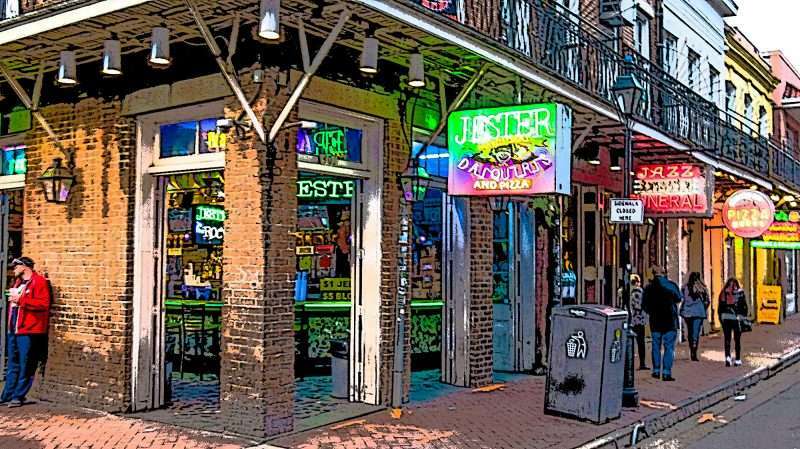 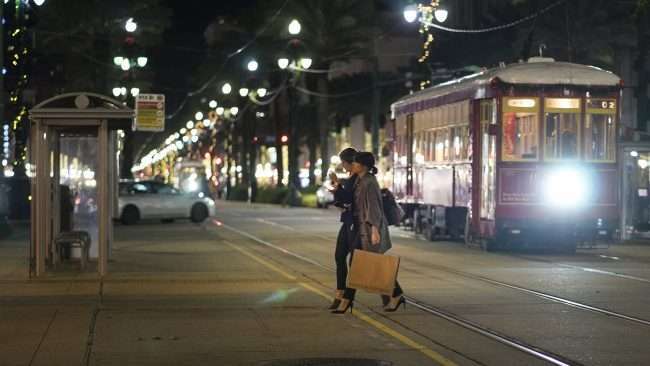 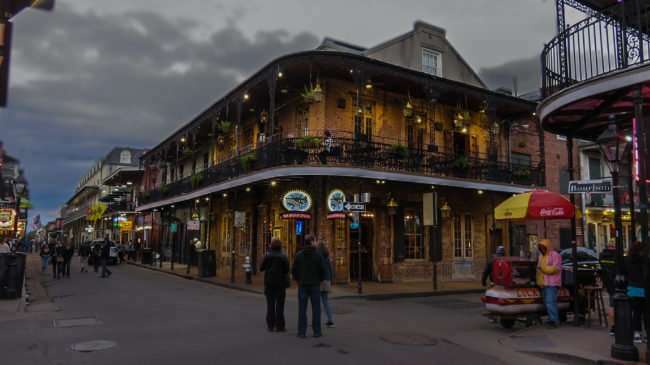 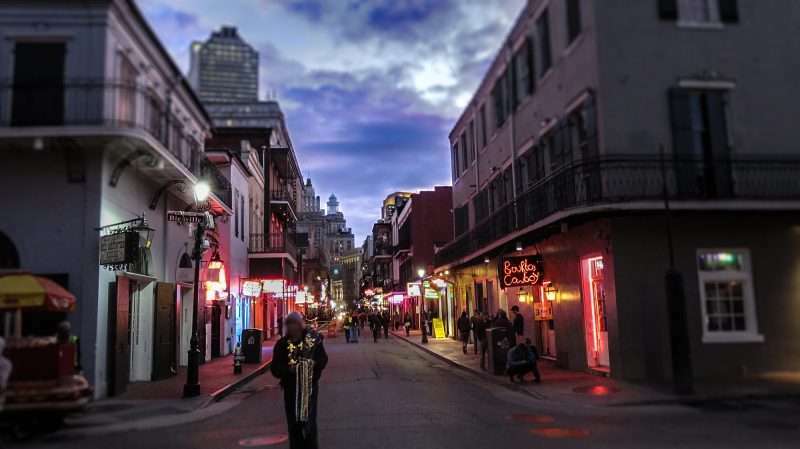 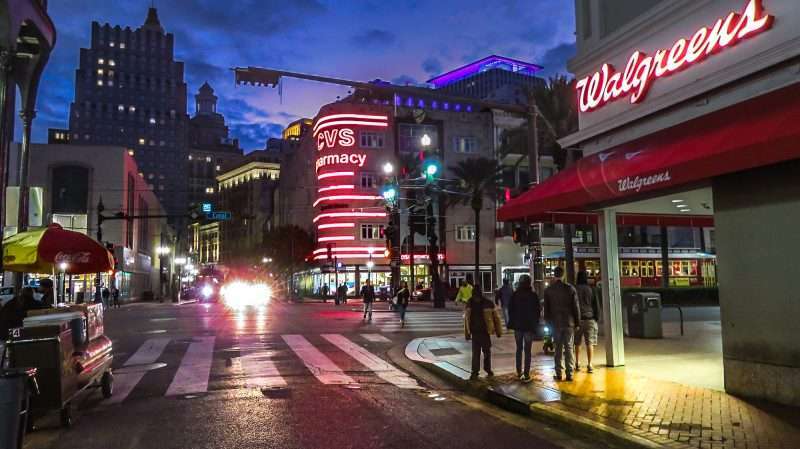 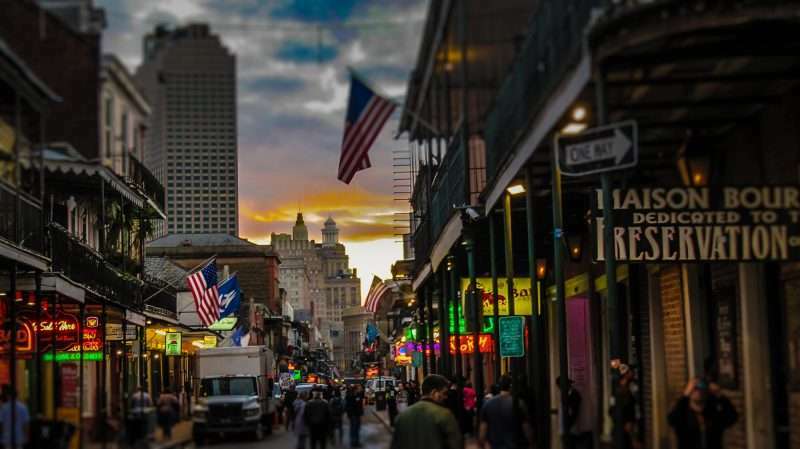 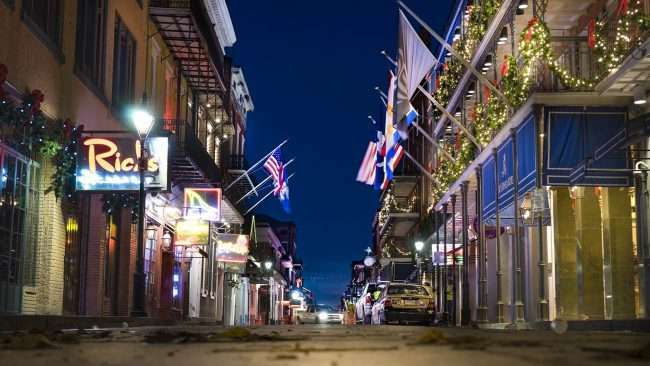 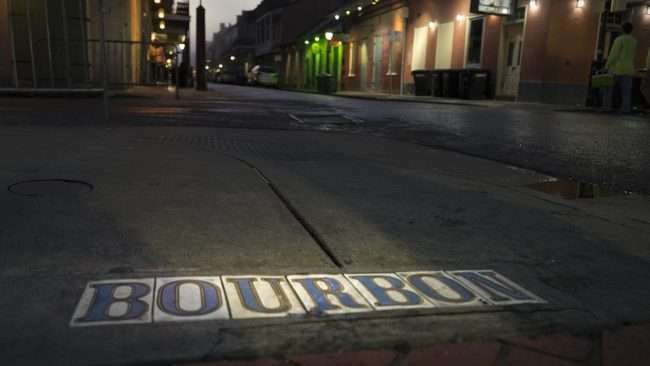 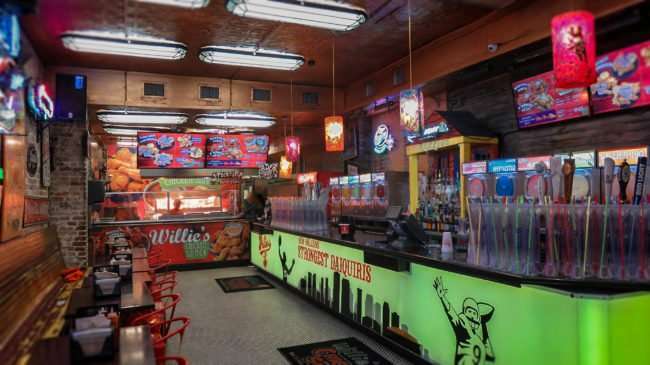 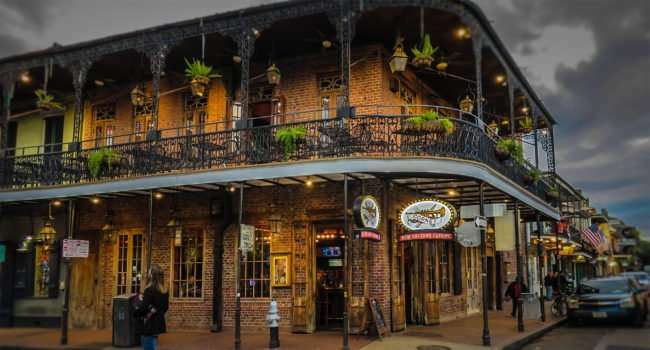 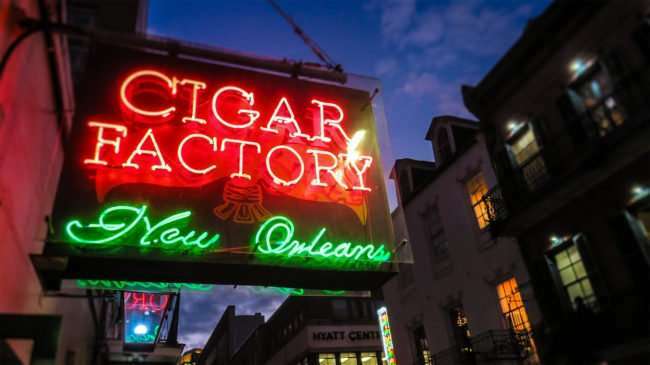 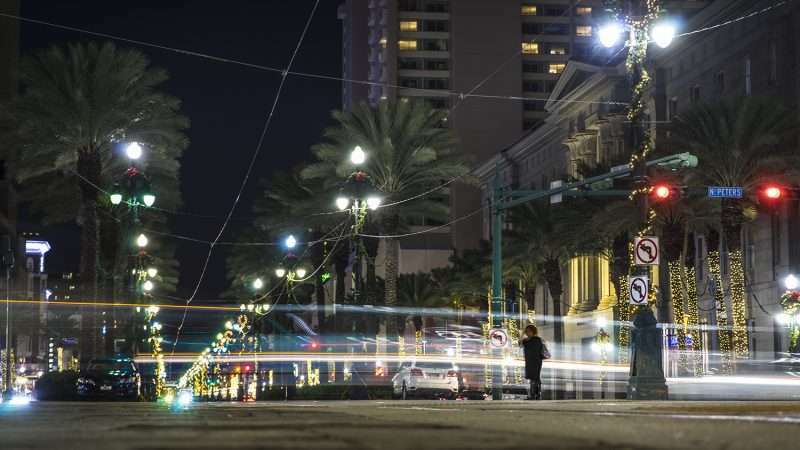 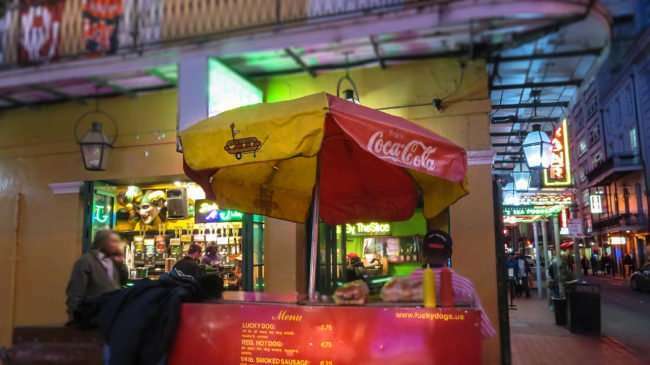 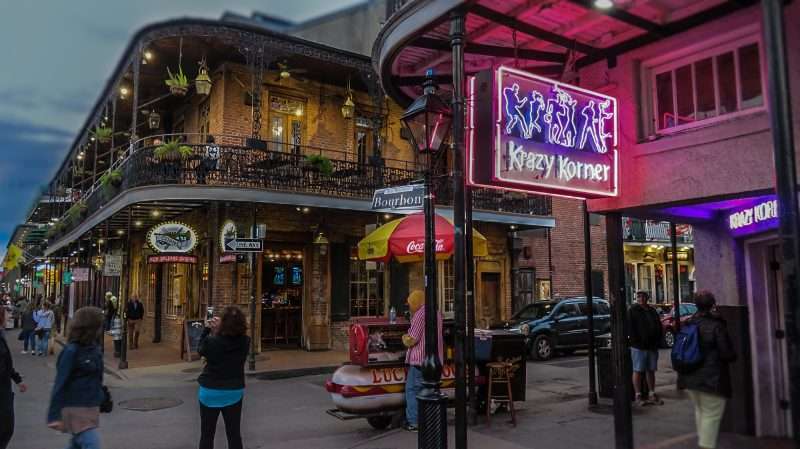 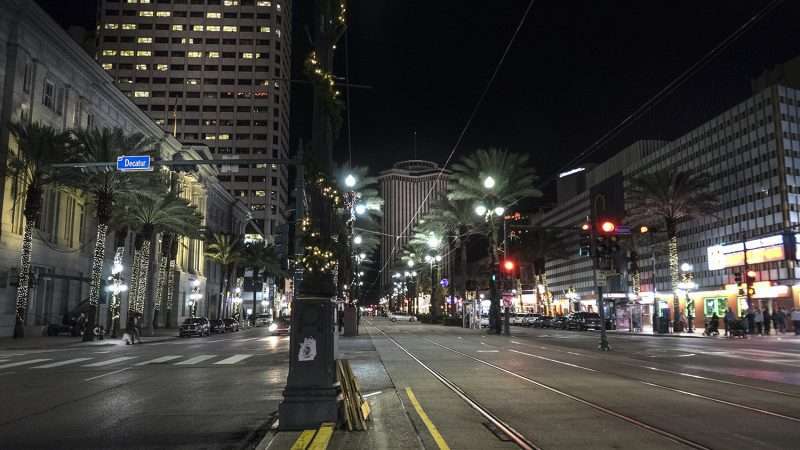 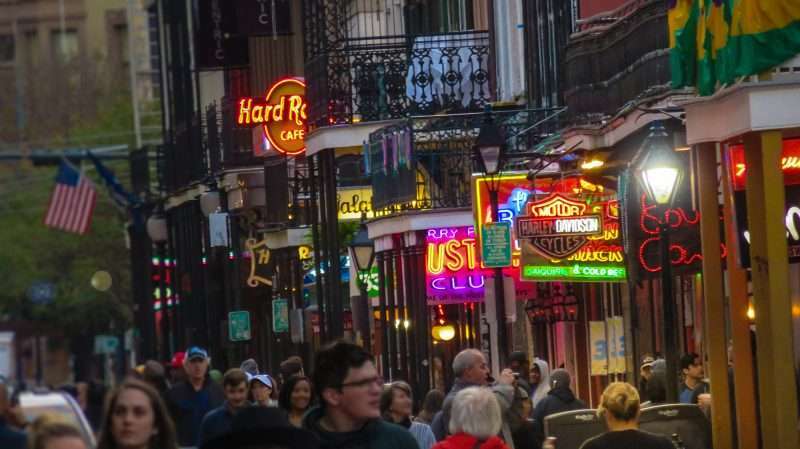 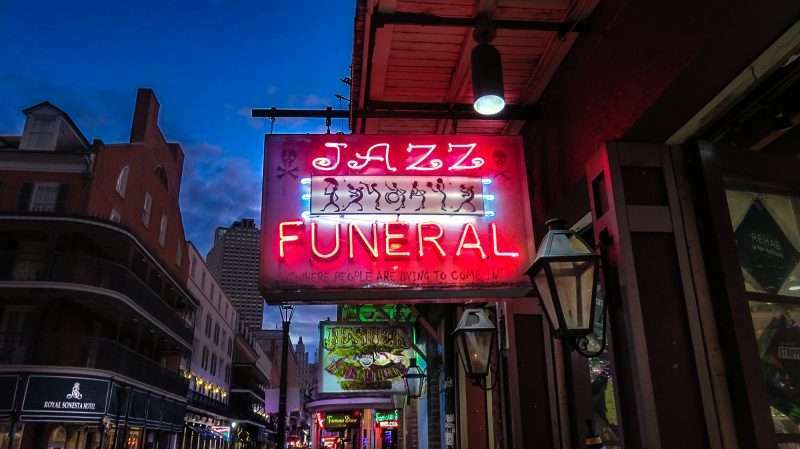 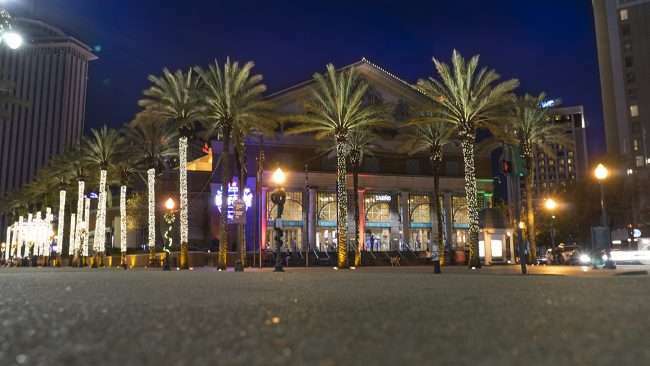 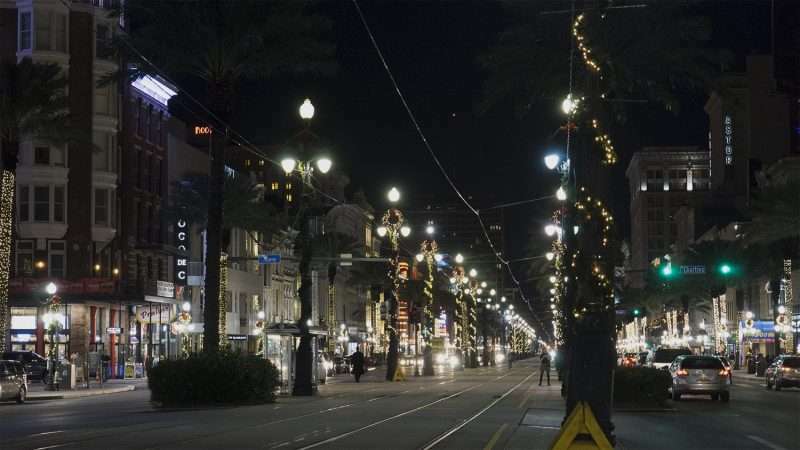 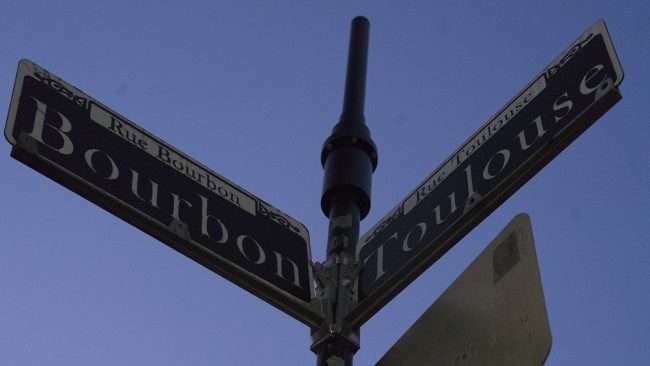 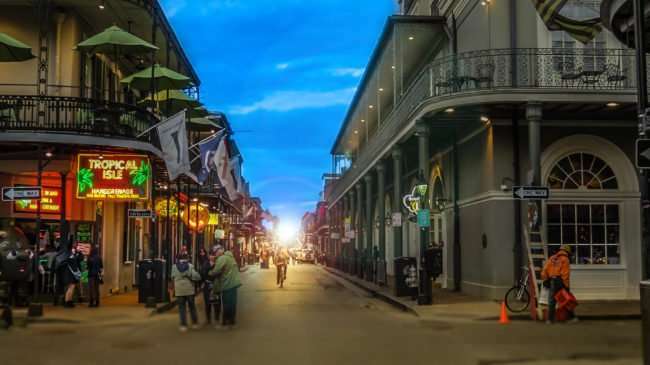 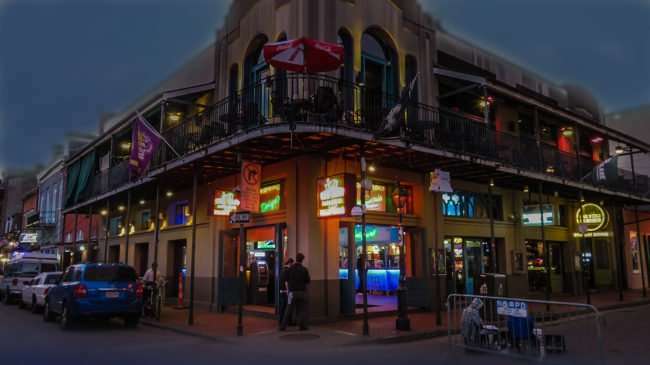 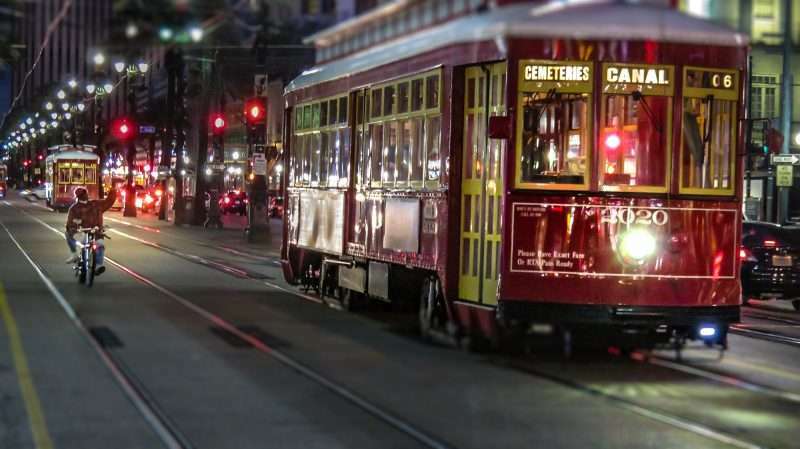 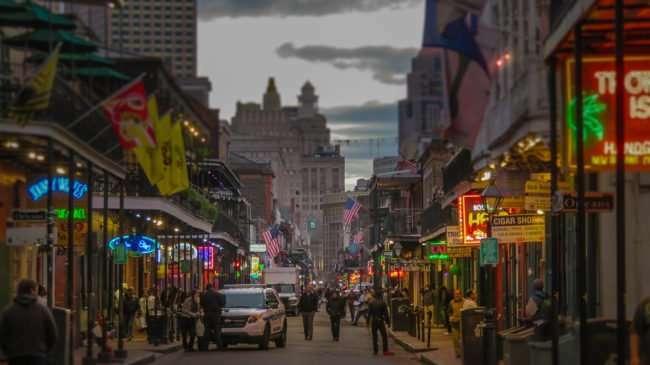 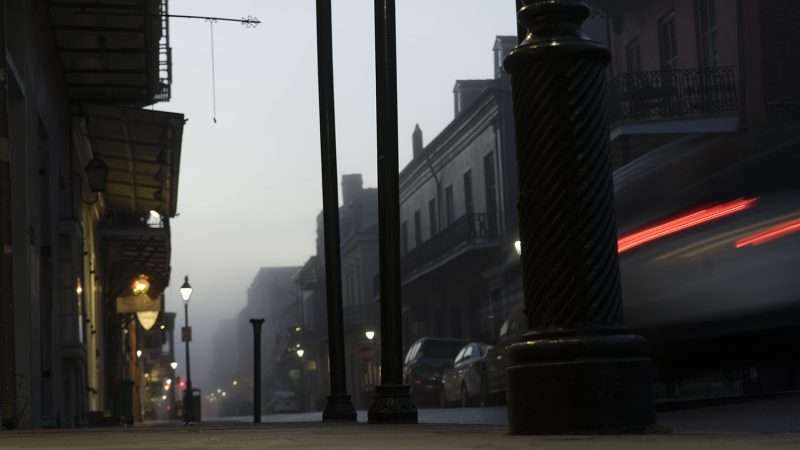 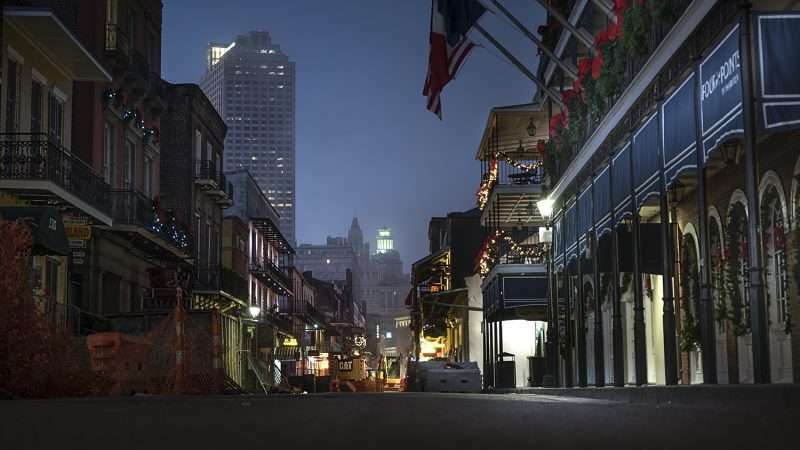 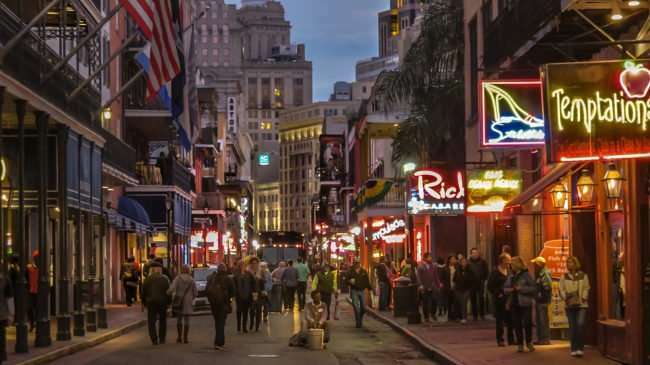 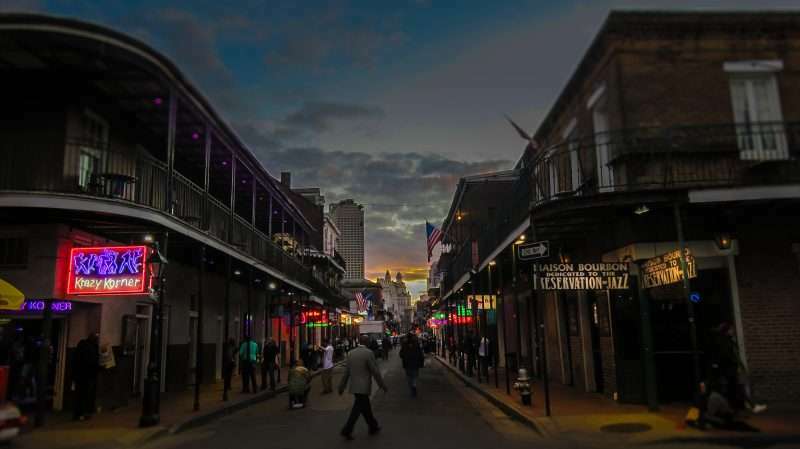 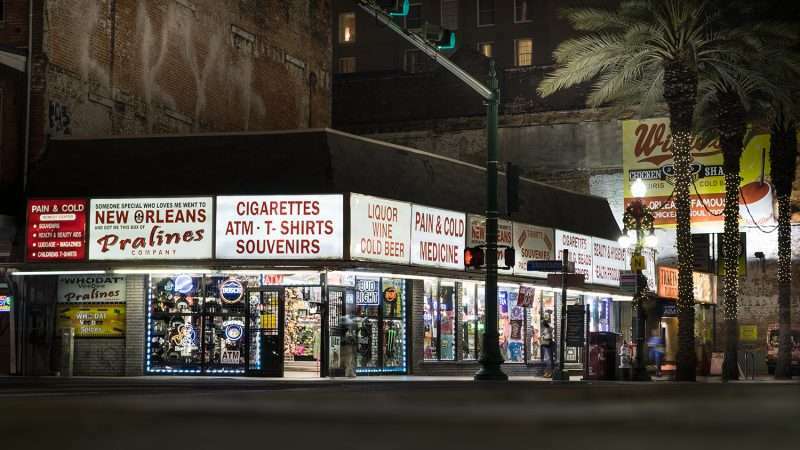 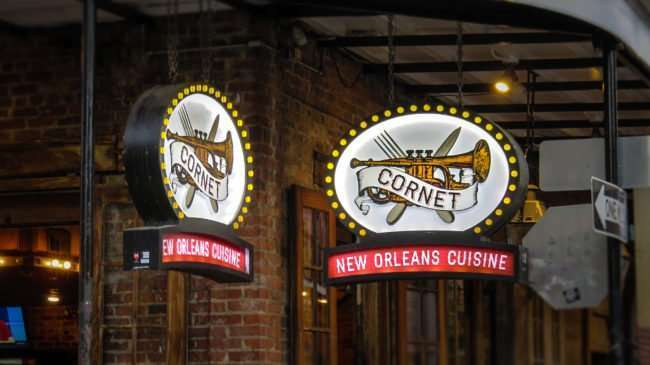 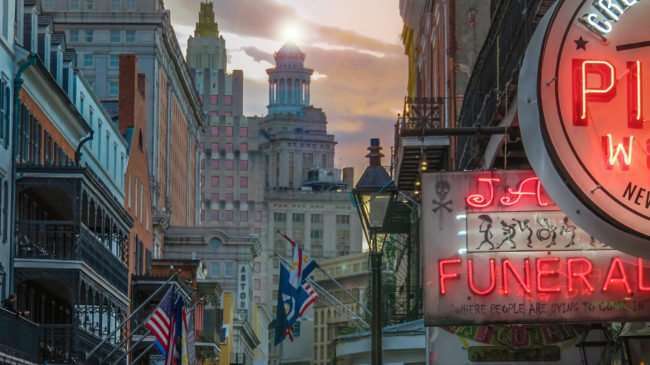 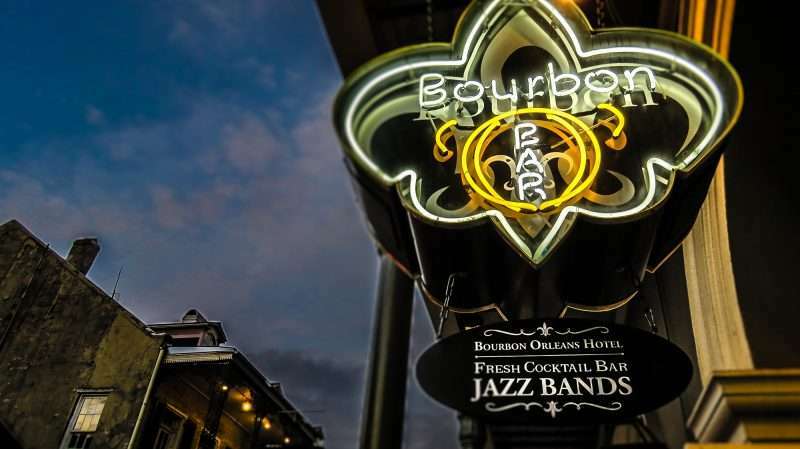 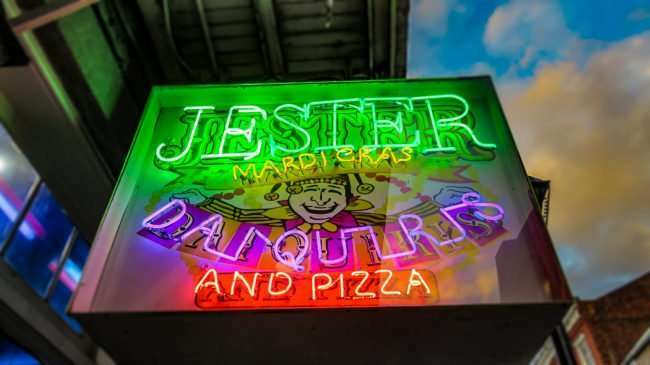 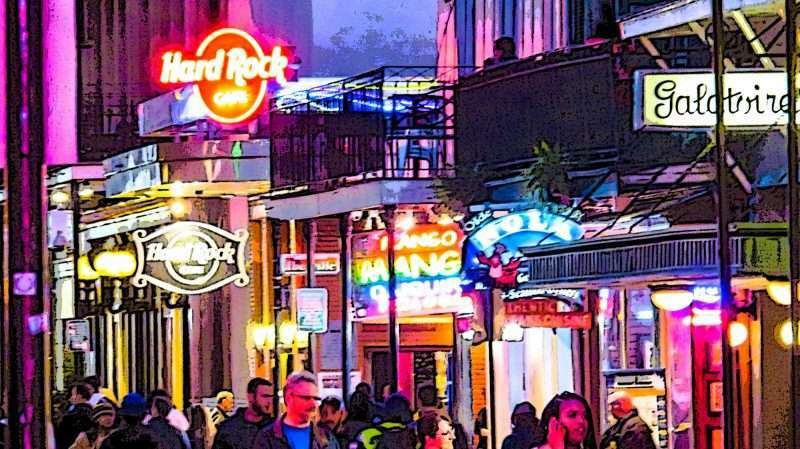 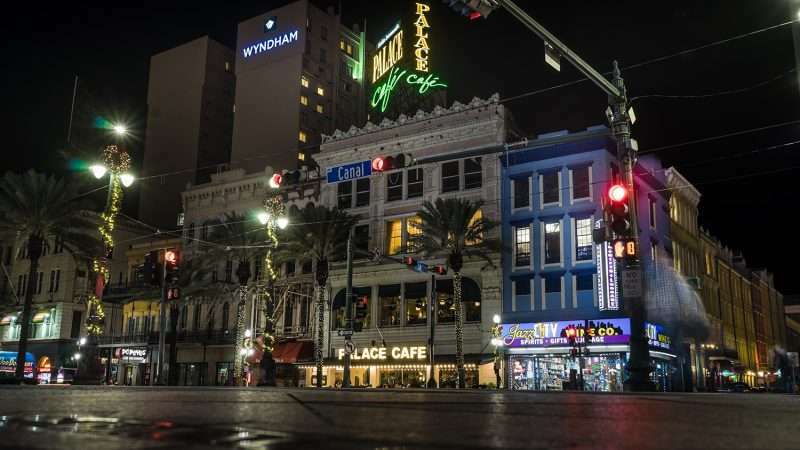 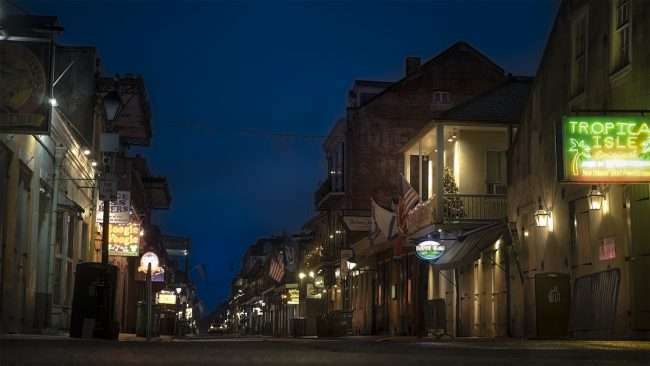 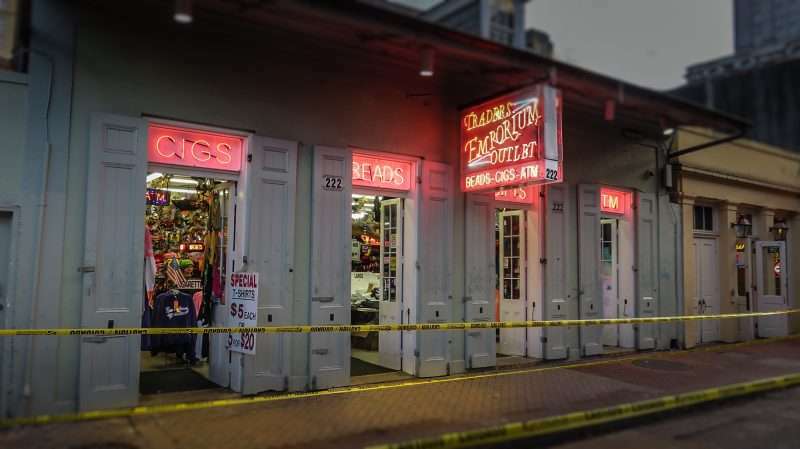 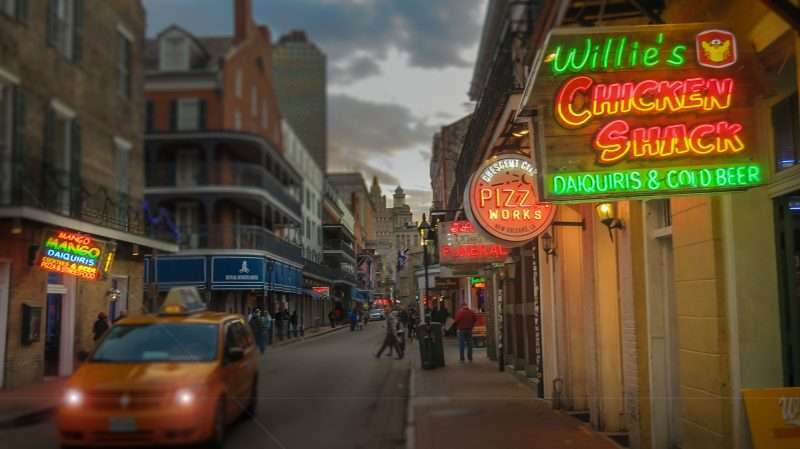 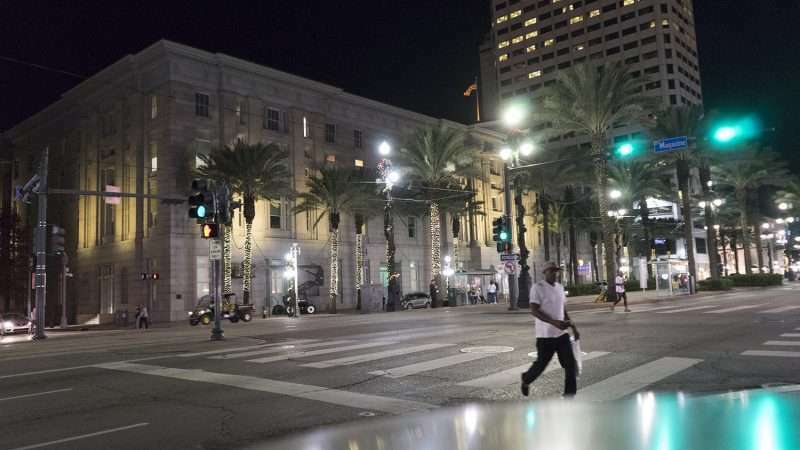 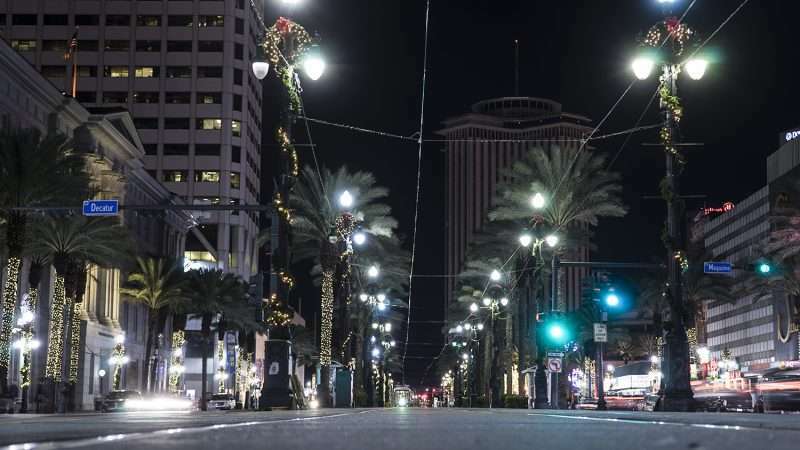 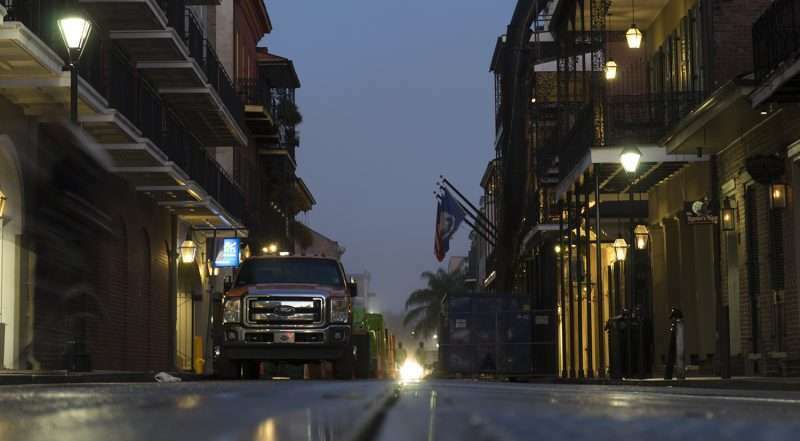 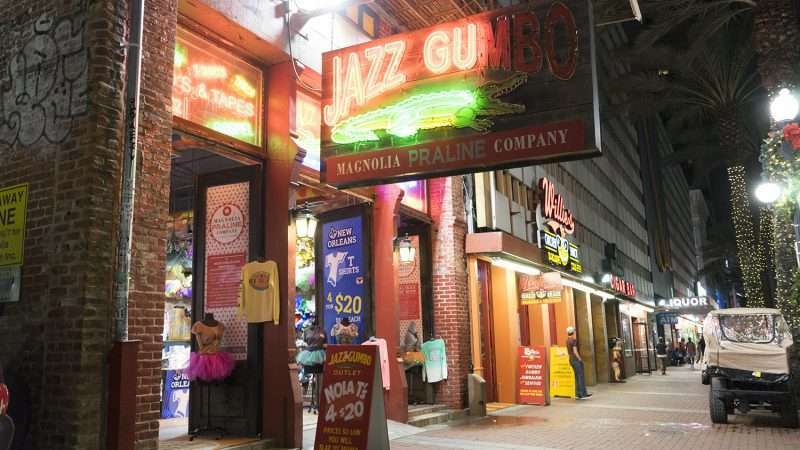 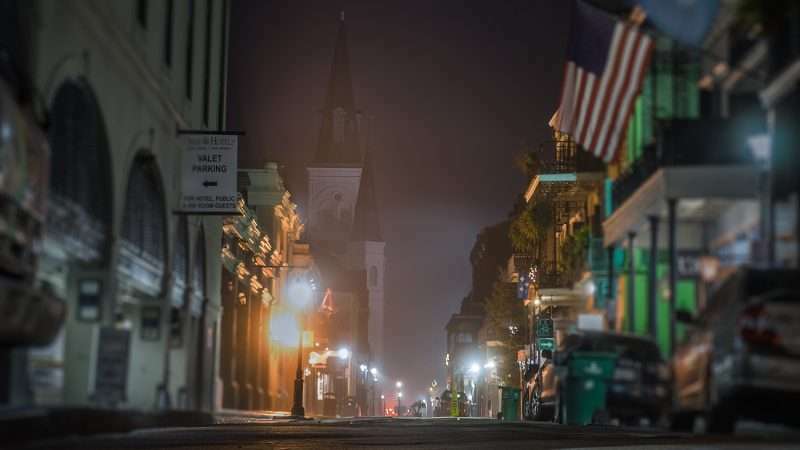 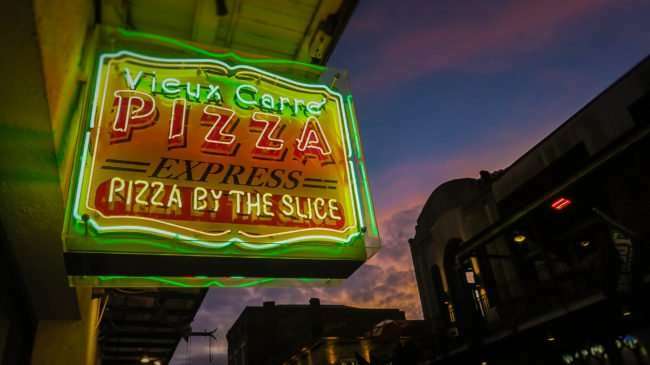 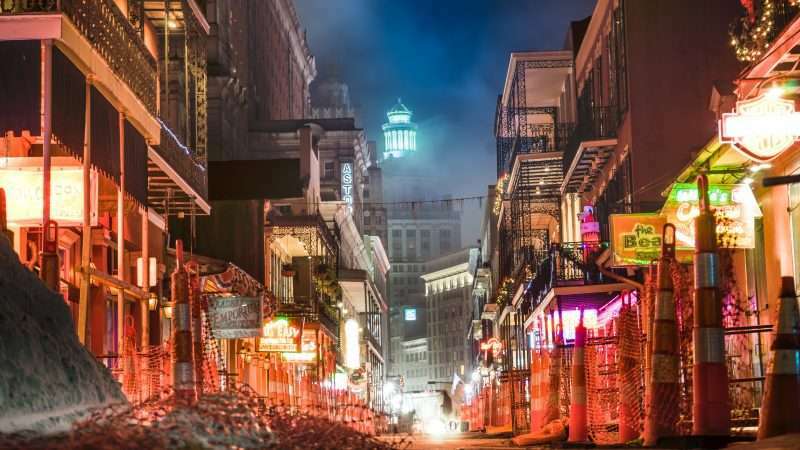 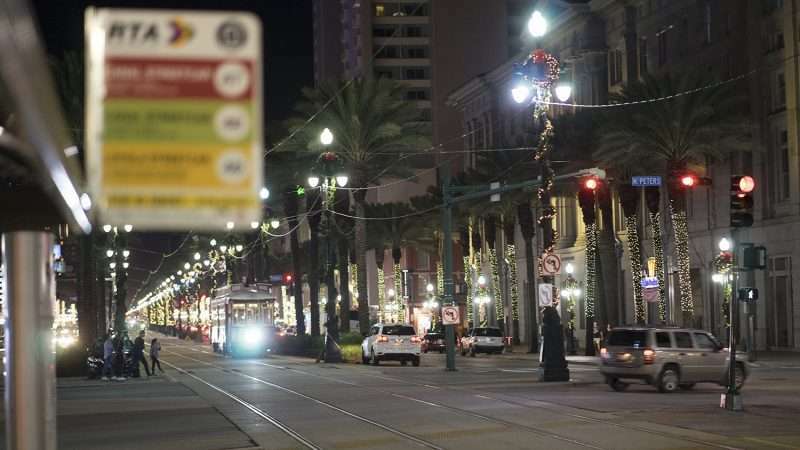 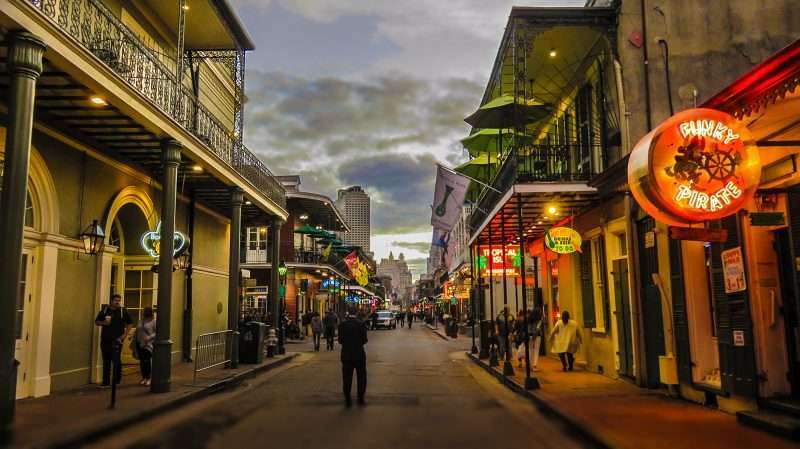 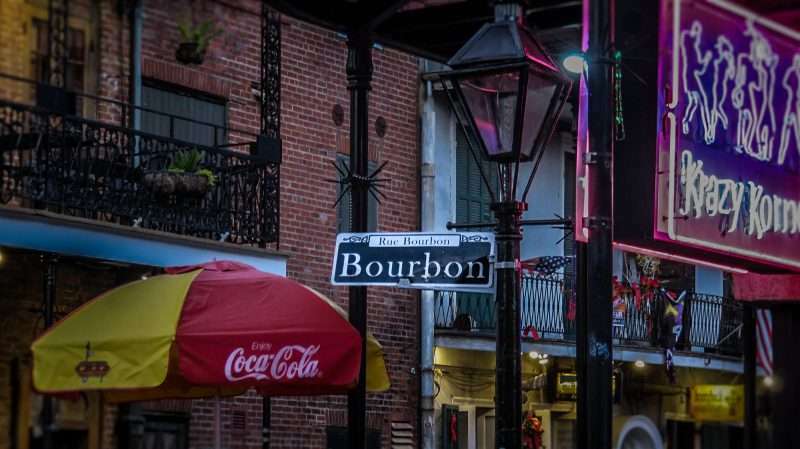 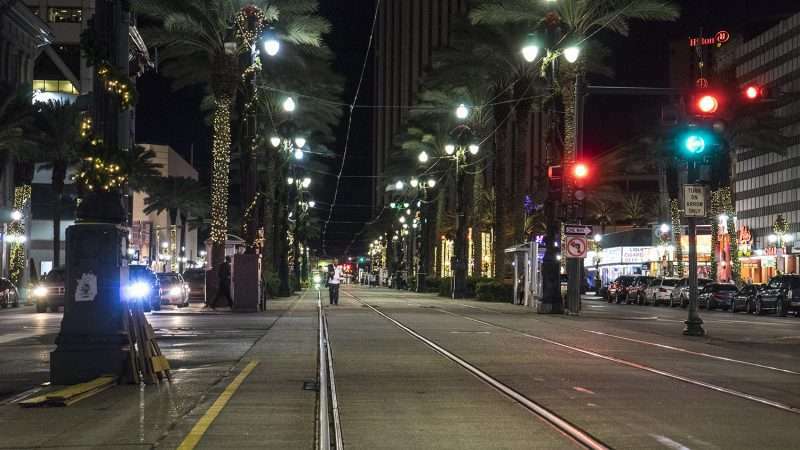 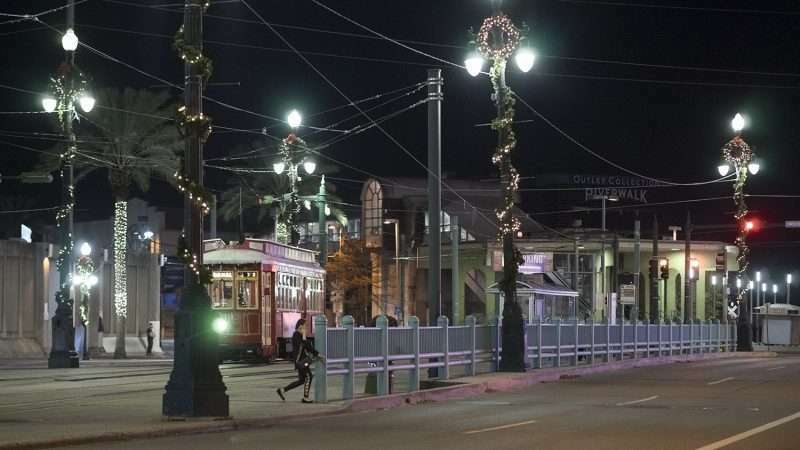 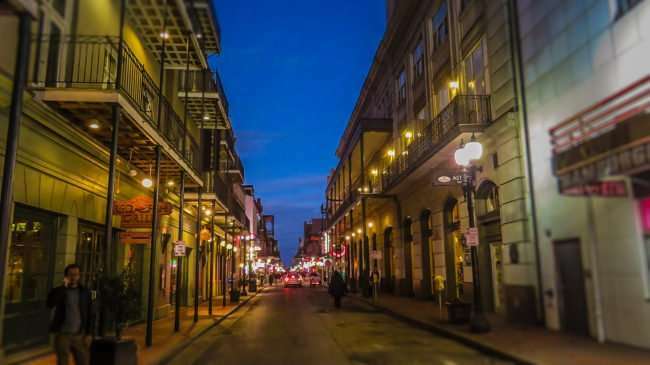 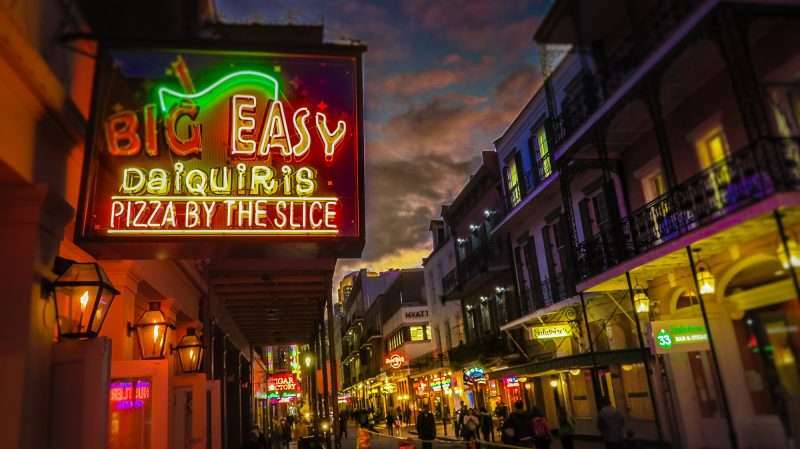 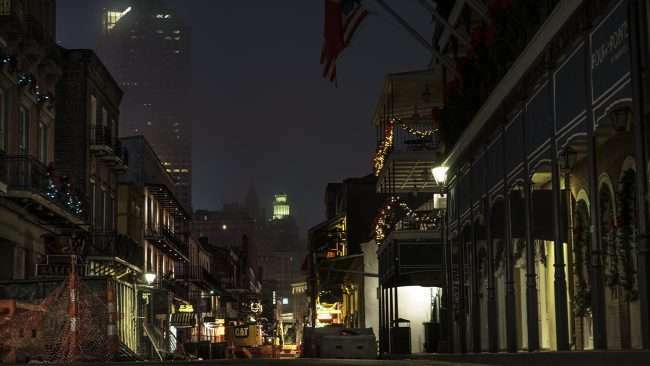 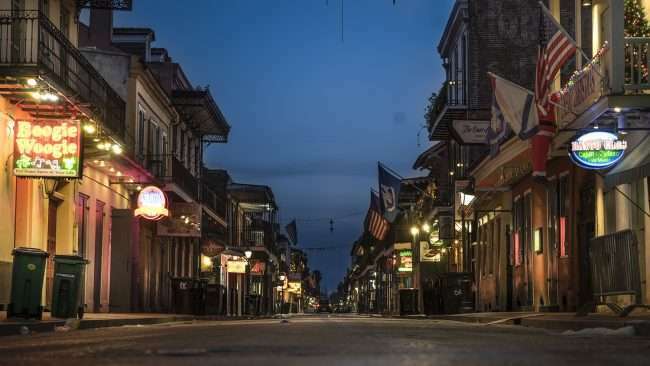 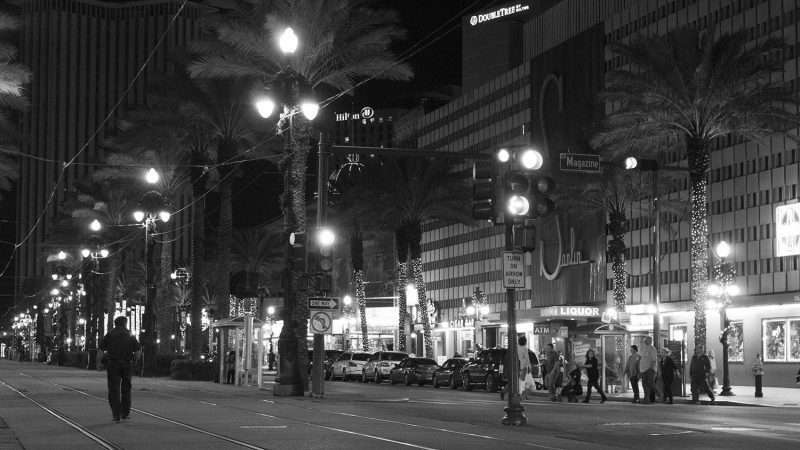 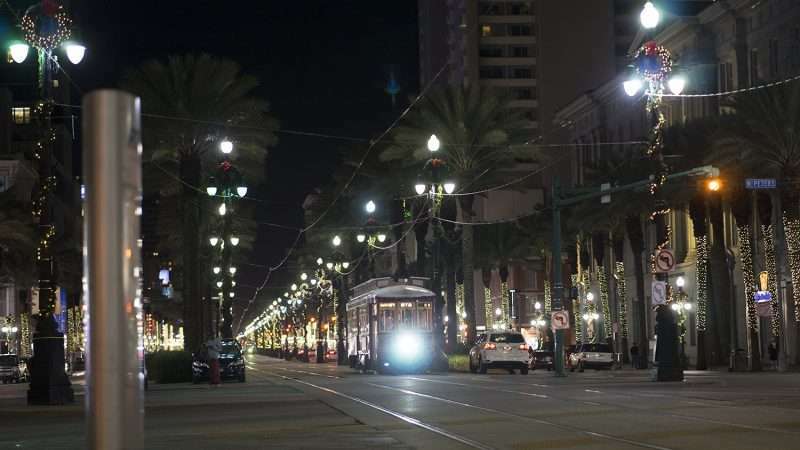 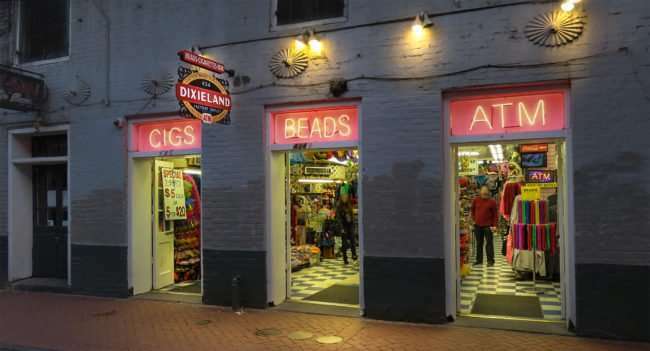 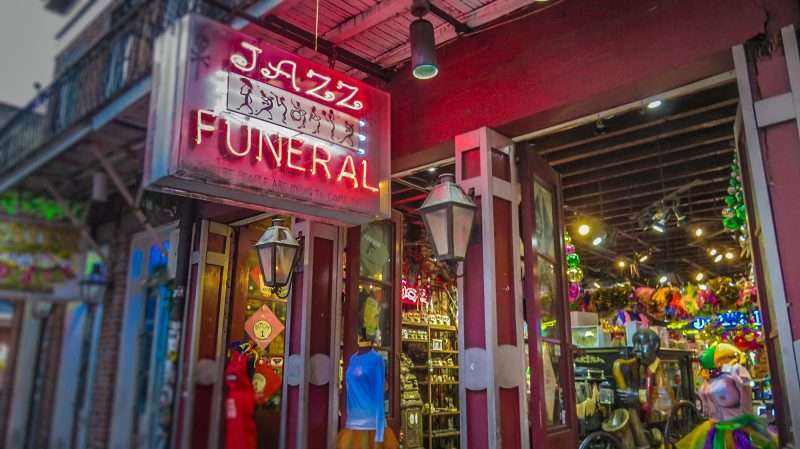 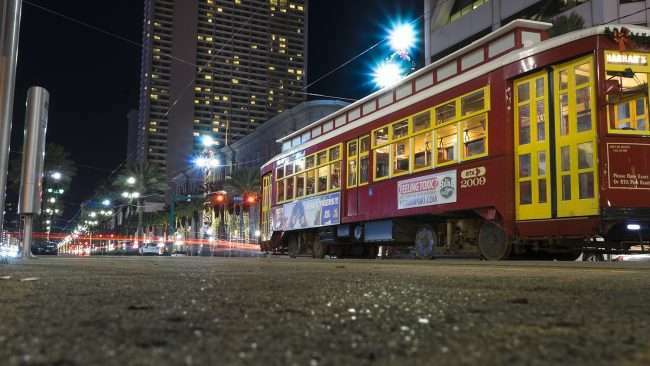 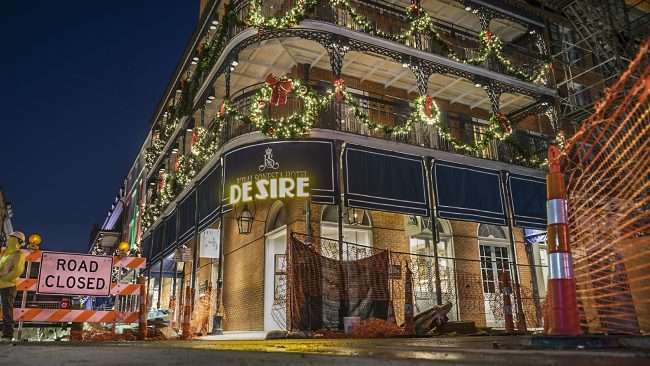 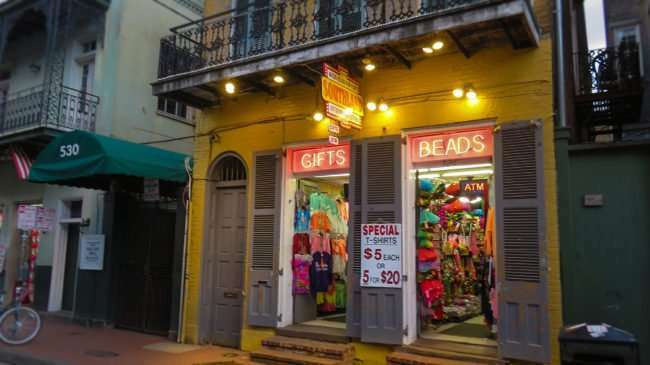 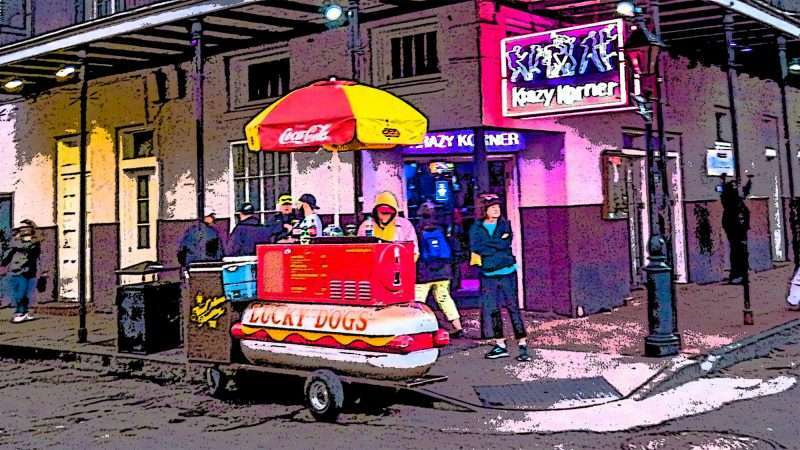 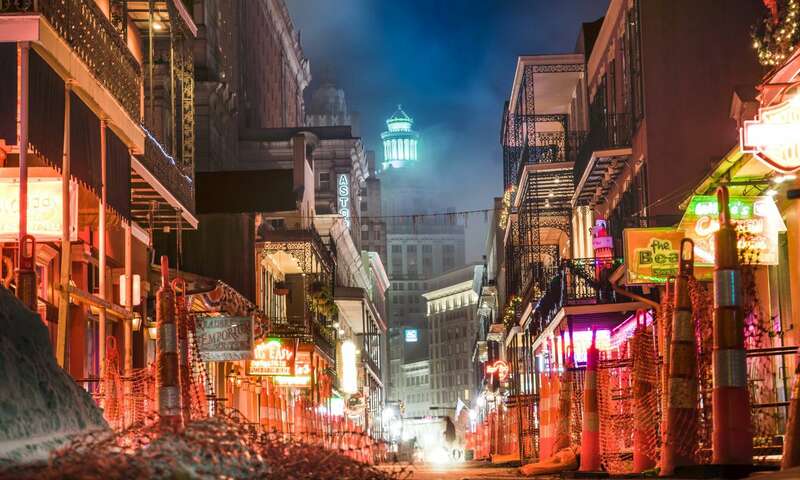 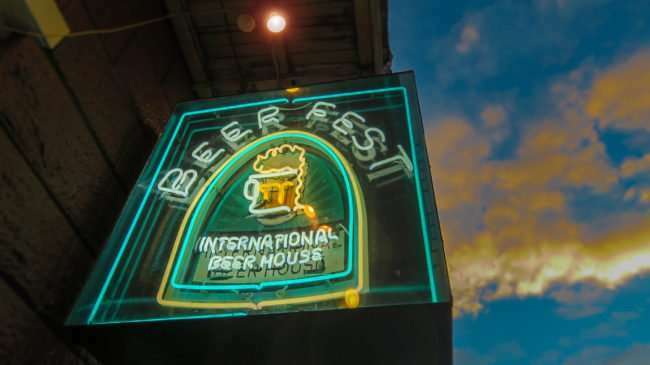 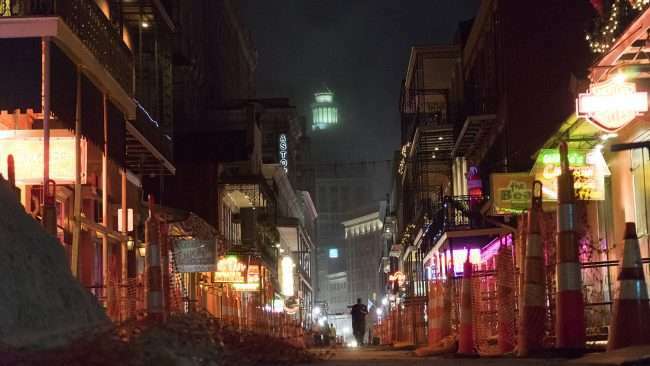 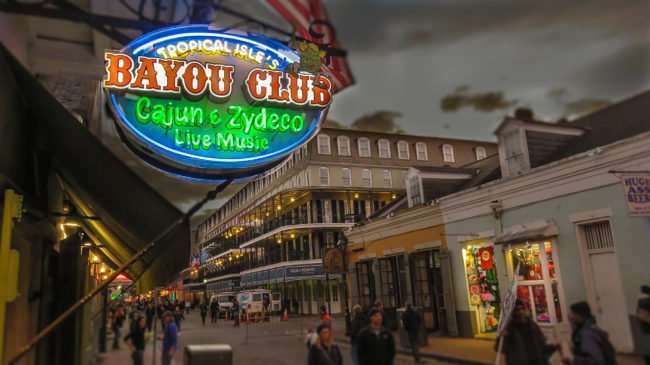 NEW ORLEANS, LA – The construction on Bourbon Street is part of the $6M French Quarter Infrastructure Improvement Project in New Orleans, LA. 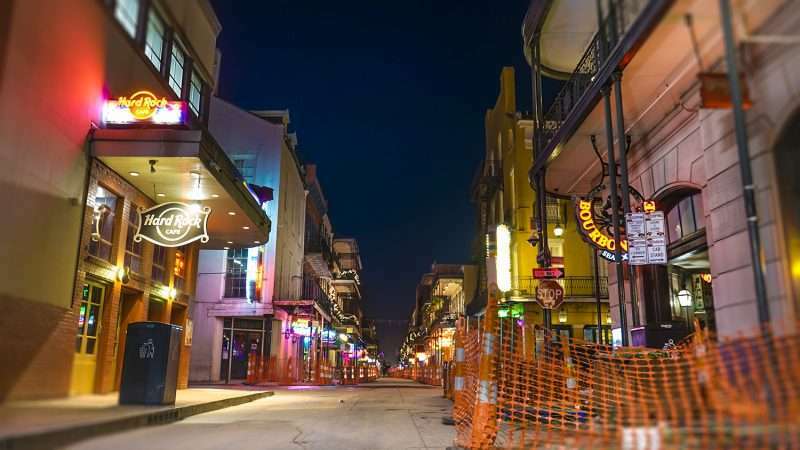 The project is still ongoing. 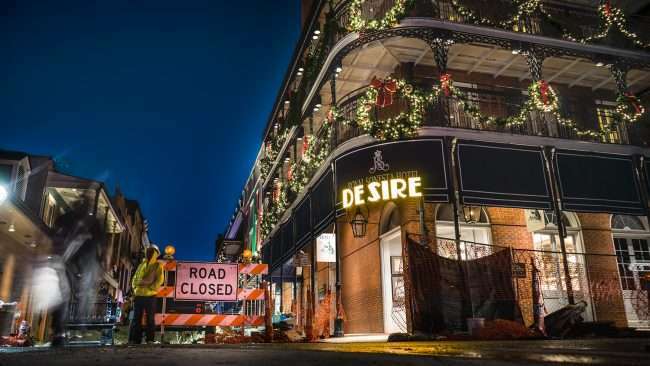 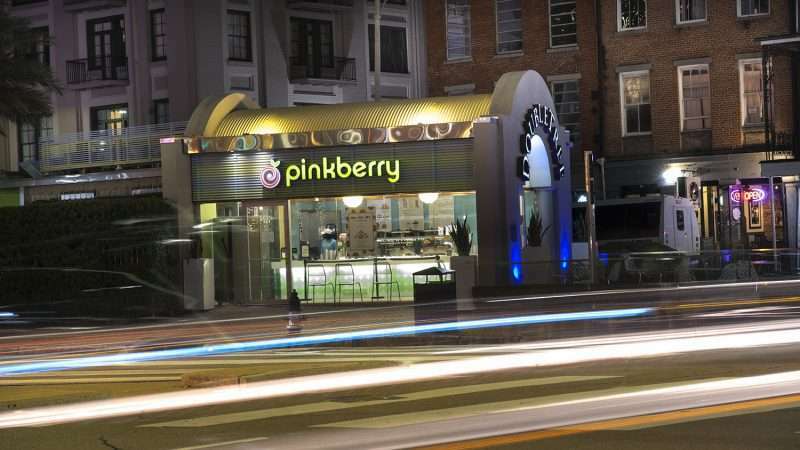 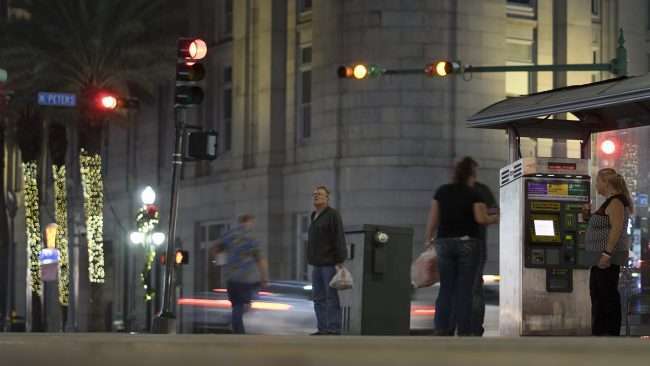 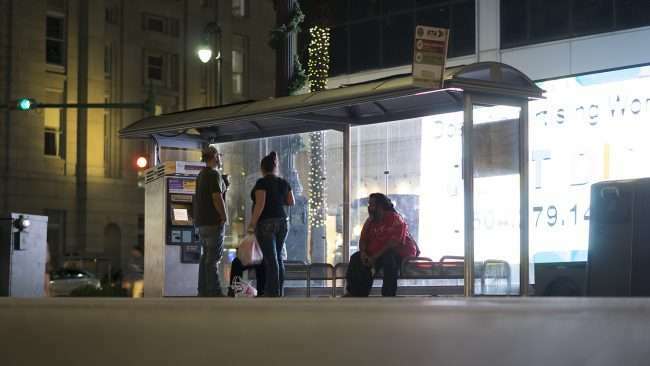 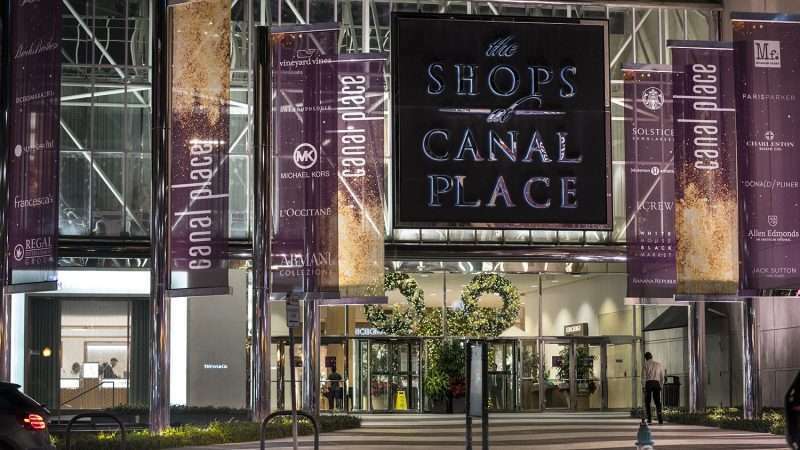 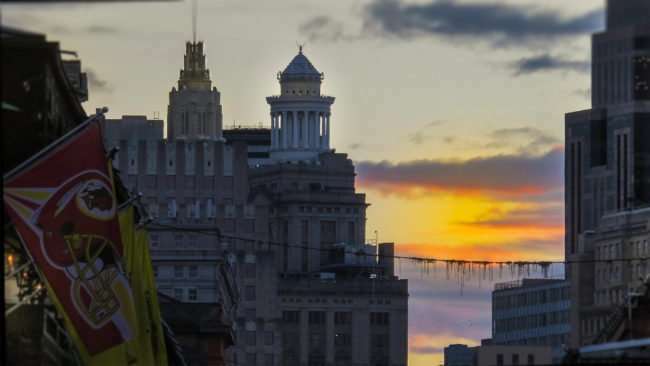 The updates include replacing existing water and drainage lines, repaving roadways, reconstructing sidewalks, repairing sewer lines and adding new curb ramps compliant with the American with Disabilities Act. 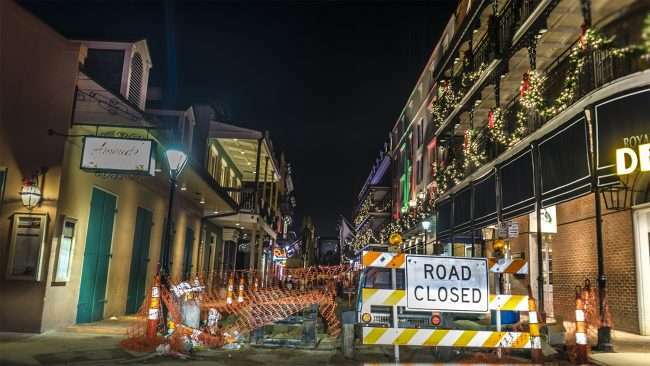 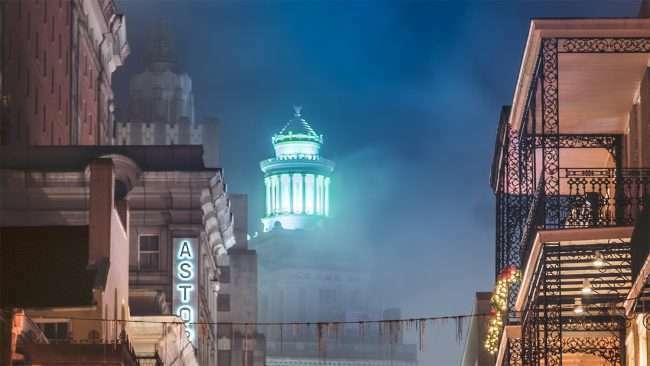 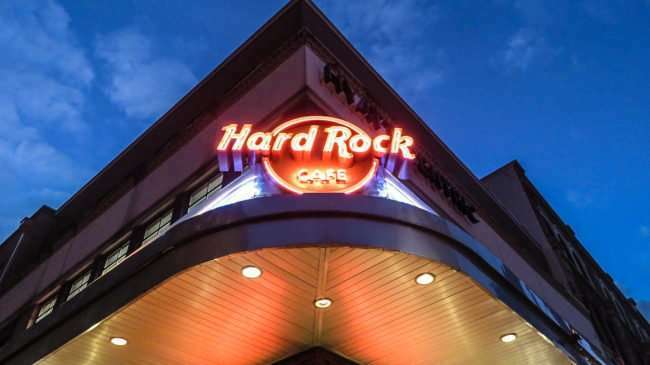 A gentleman on the site stated that the construction should be finished in a few more months. 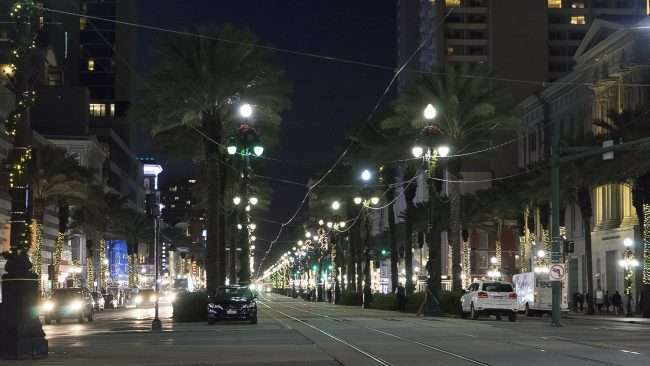 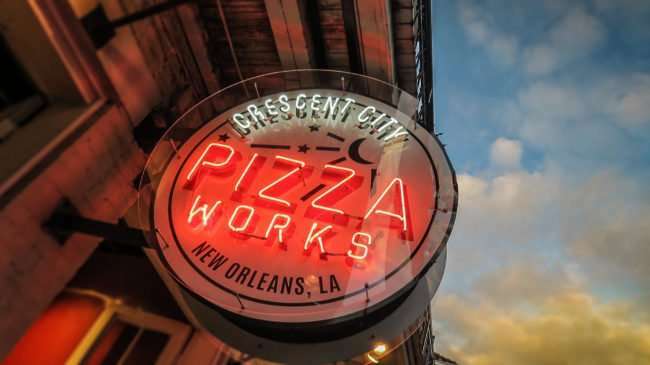 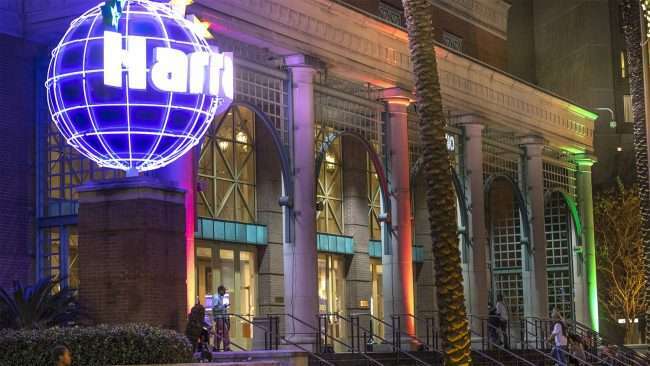 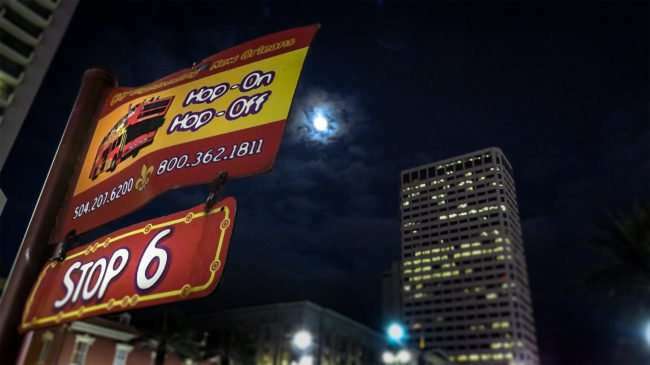 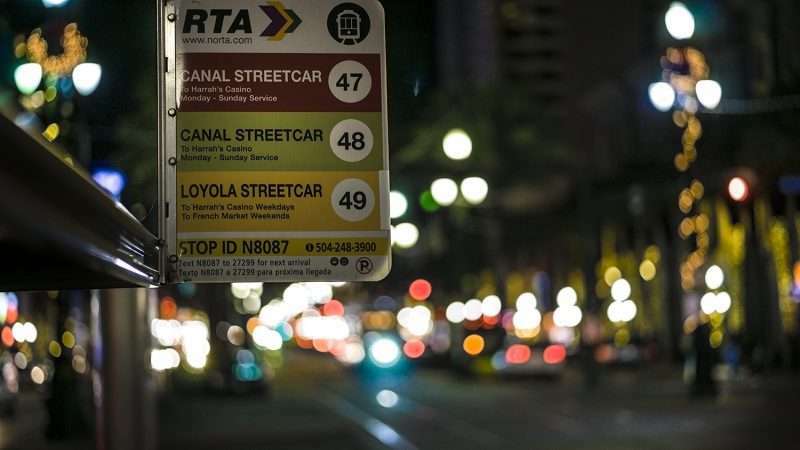 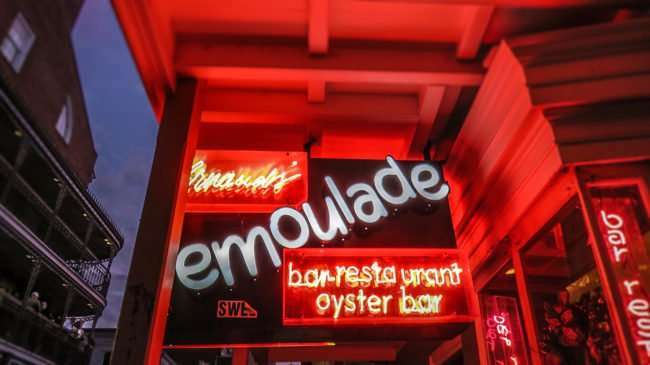 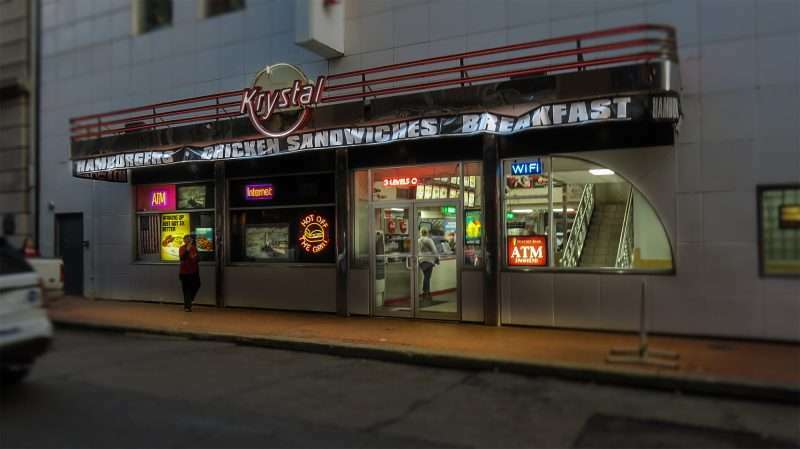 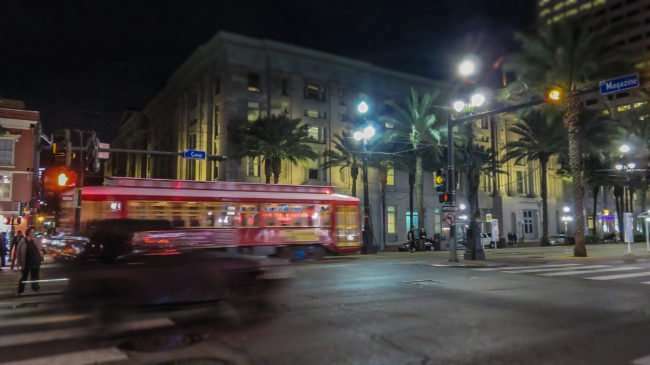 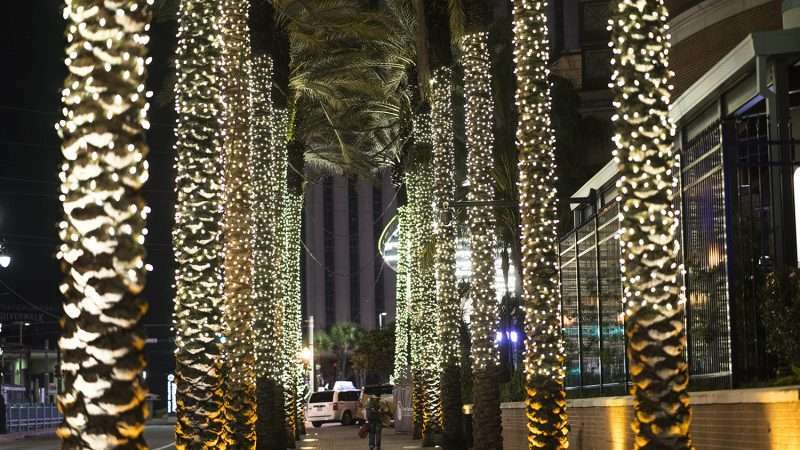 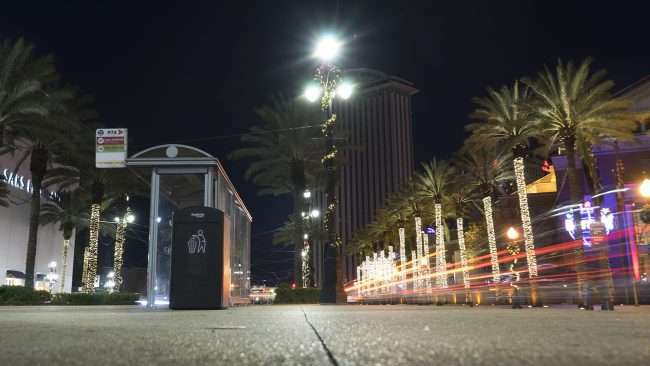 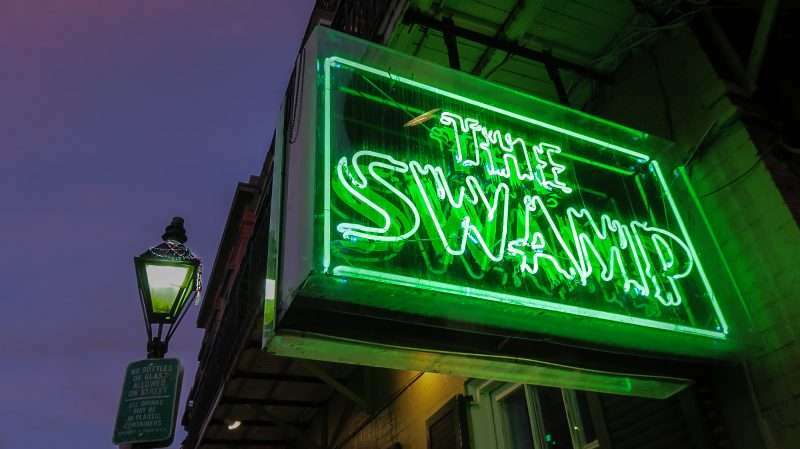 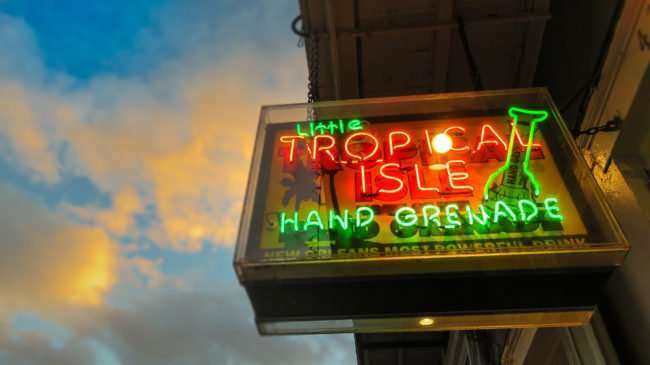 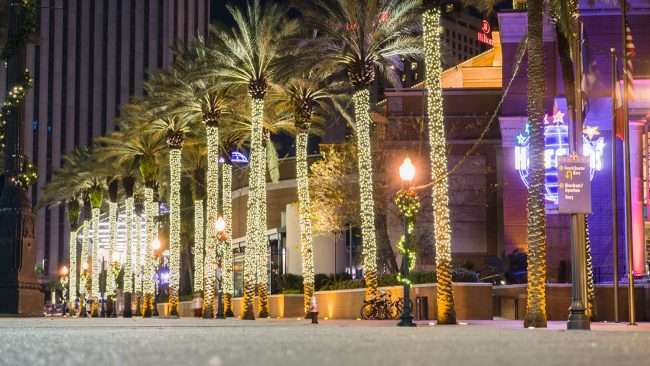 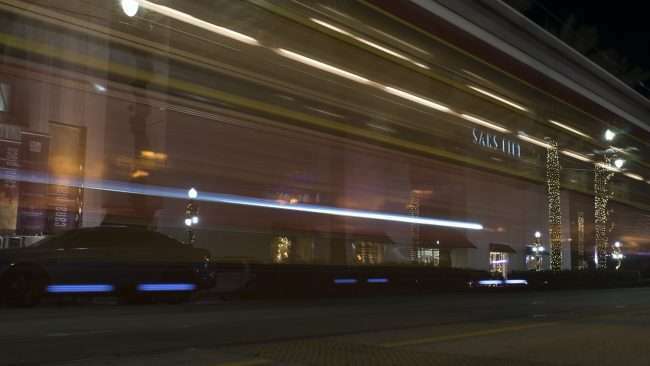 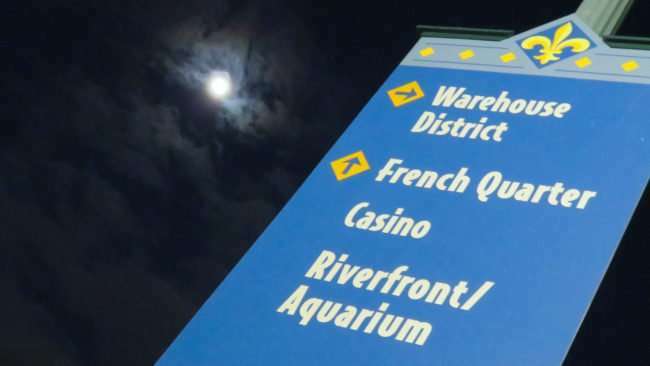 The project was coordinated with The City of New Orleans, Department of Public Works, along with the Sewerage and Water Board of New Orleans. 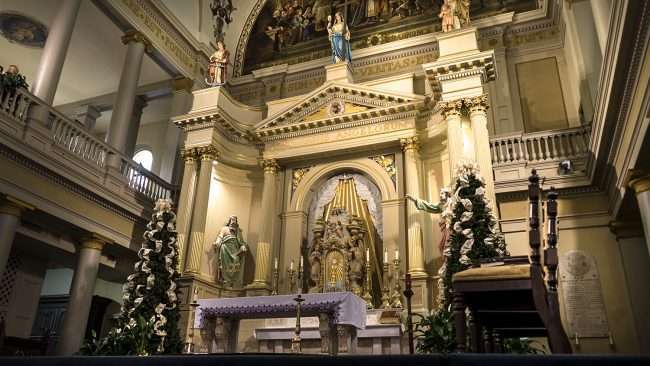 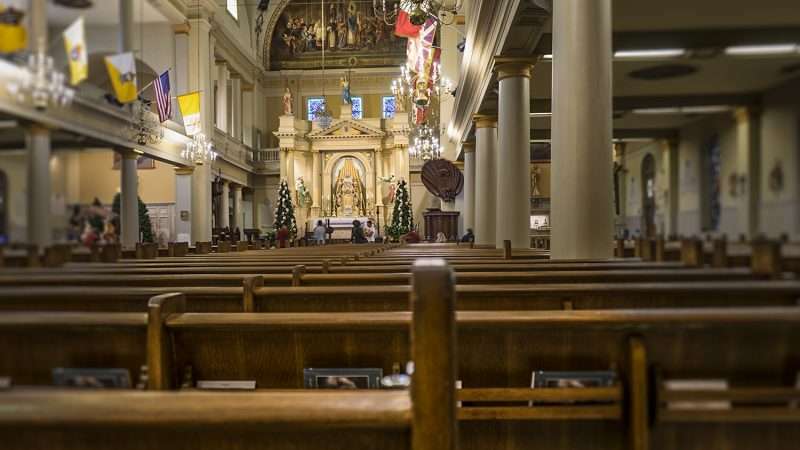 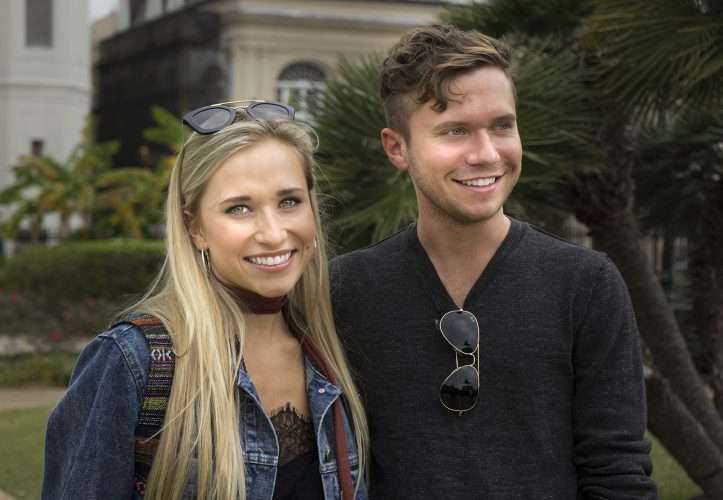 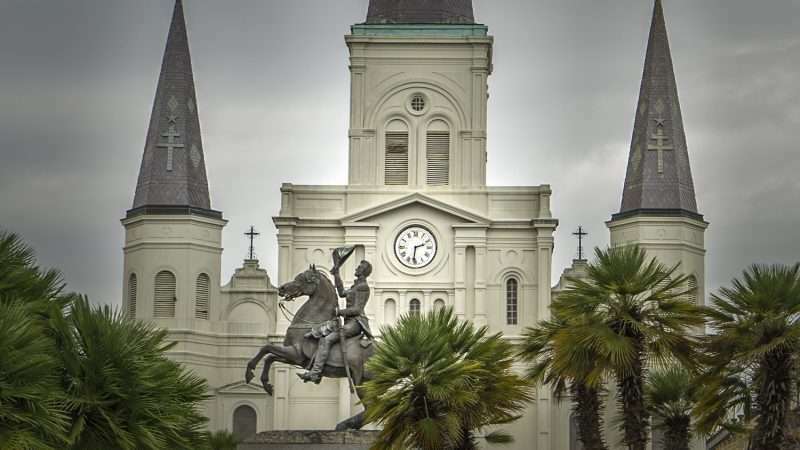 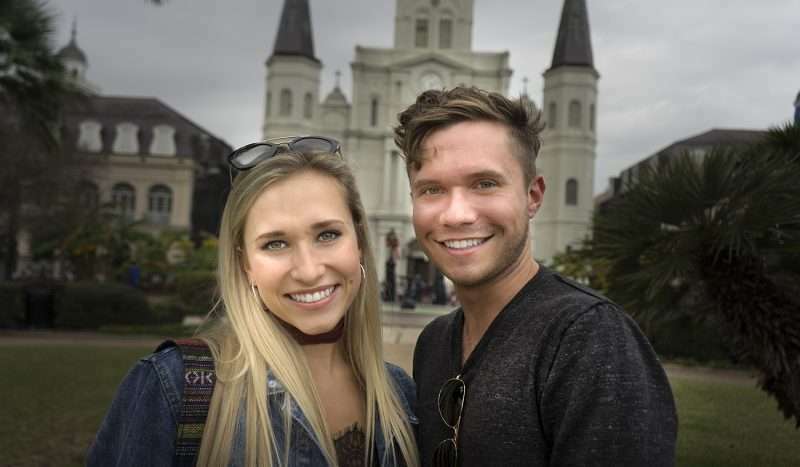 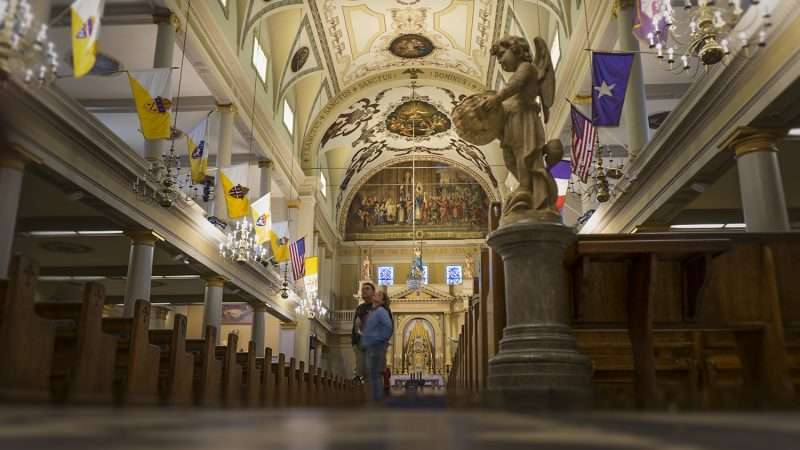 NEW ORLEANS, LA – The St. Louis Cathedral is the oldest cathedral in continual use in the United States located at 615 Pere Antoine Alley in the French Quarter neighborhood of New Orleans, LA. 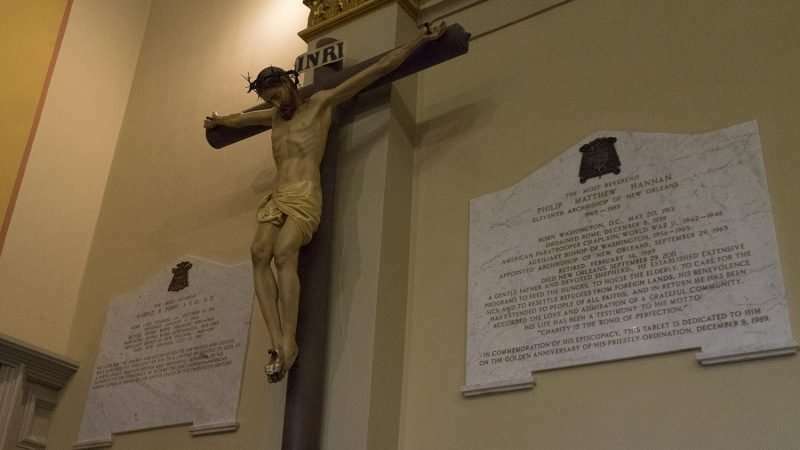 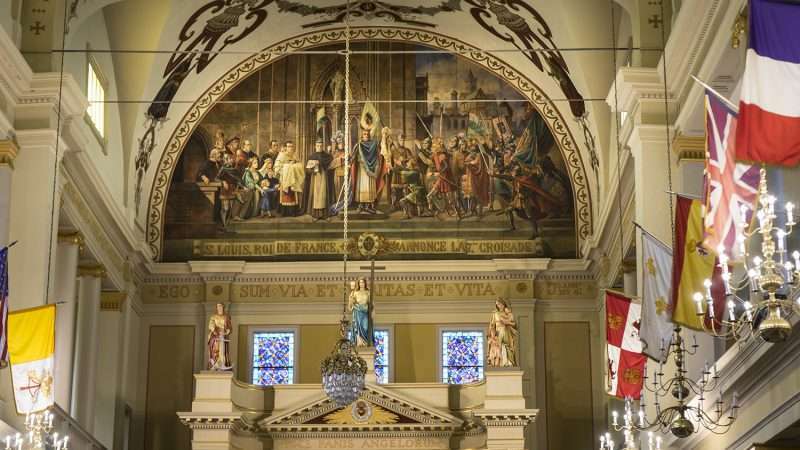 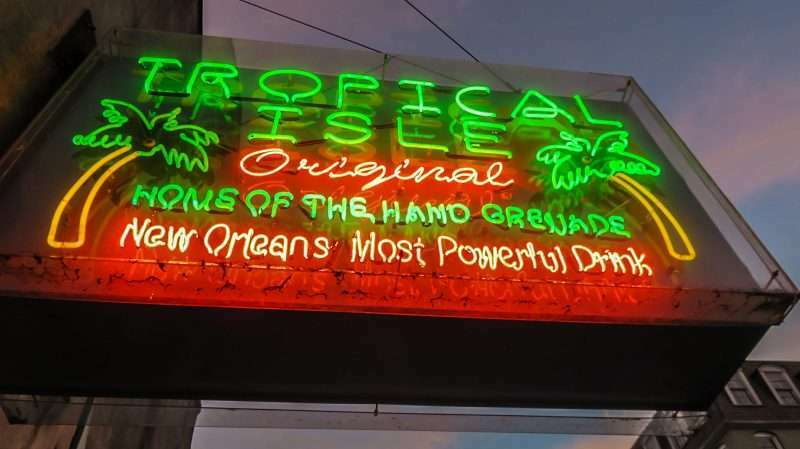 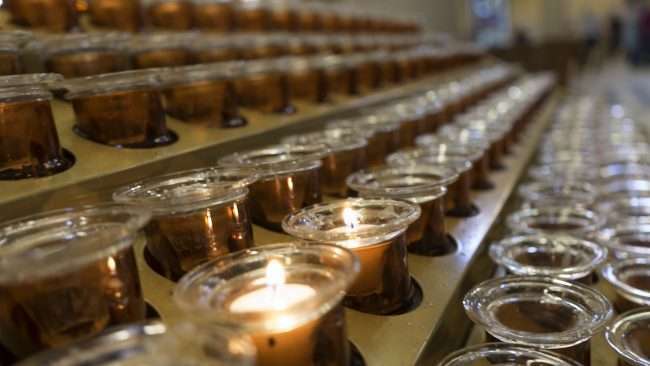 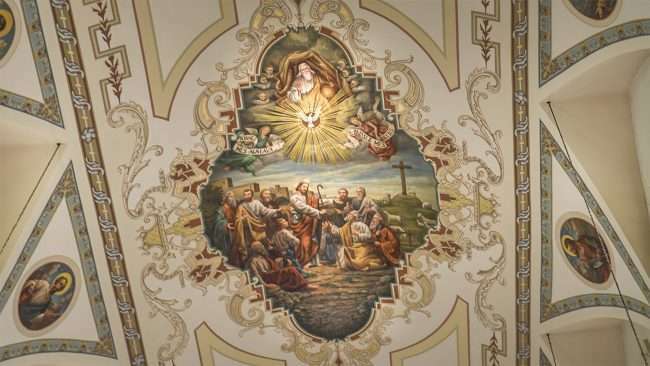 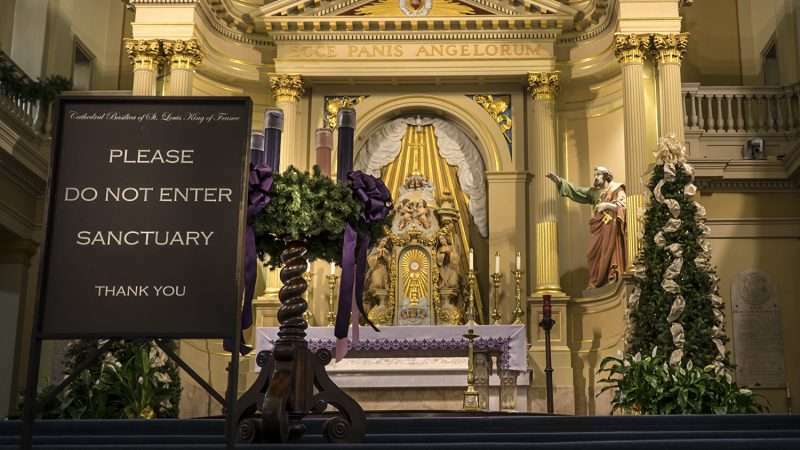 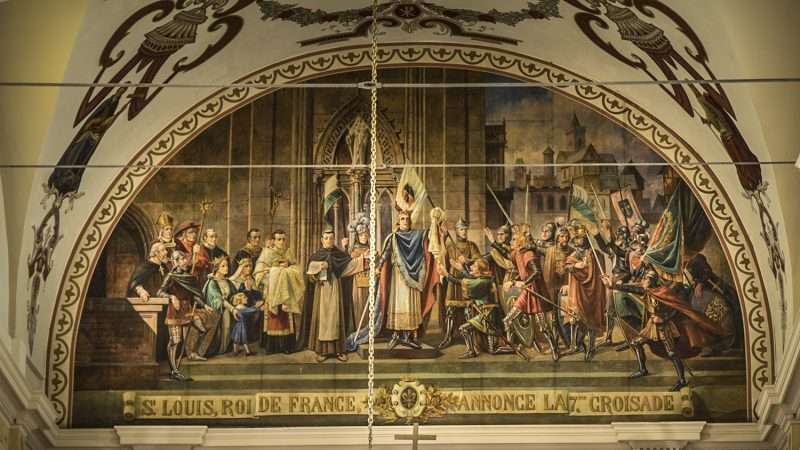 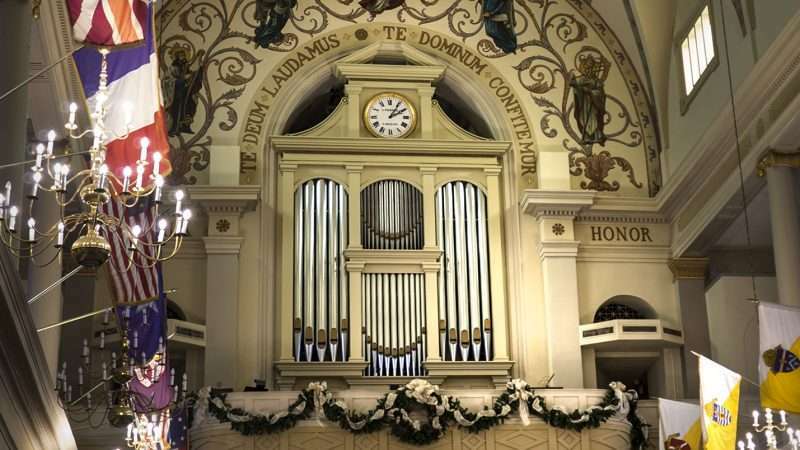 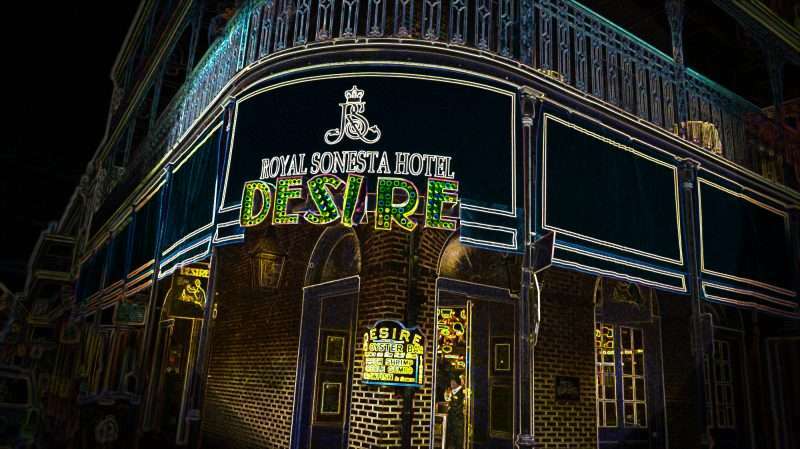 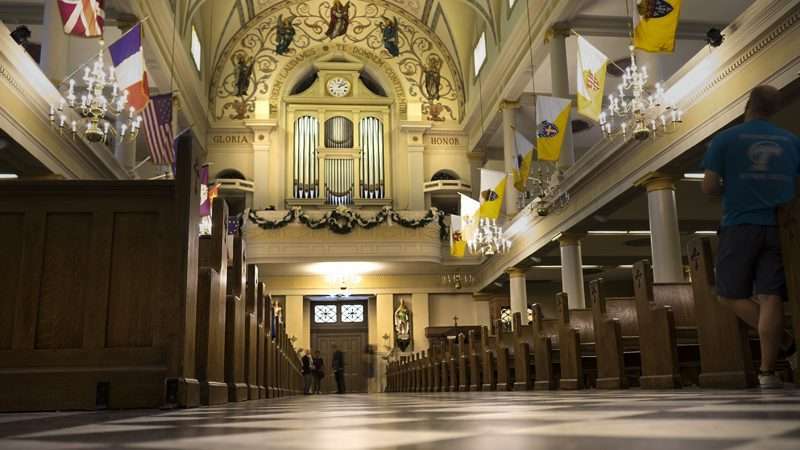 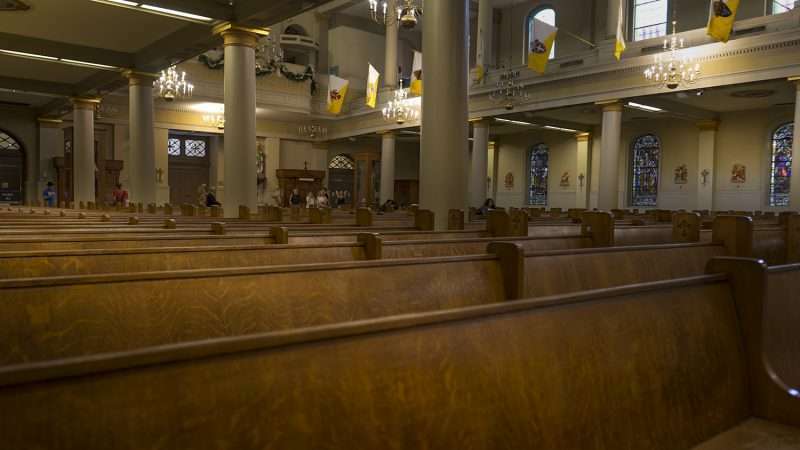 It was founded as a Catholic Parish in 1721 along the banks of the Mississippi River in New Orleans. 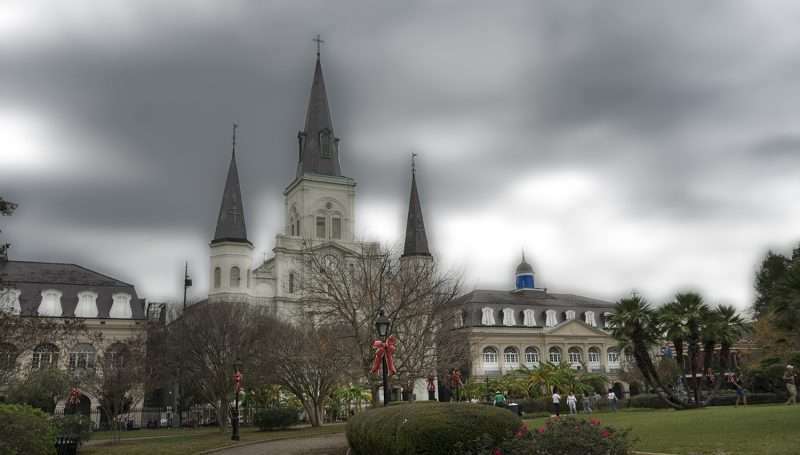 The St. Louis Cathedral is world renown and a major landmark in New Orleans. Visitors are allowed to take photos inside the Cathedral without any flash. 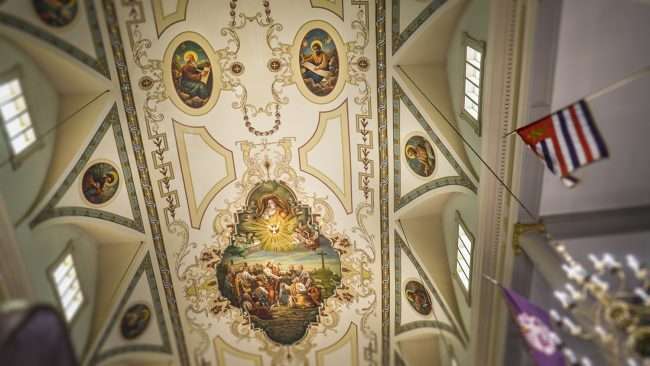 They can freely walk around this beautiful house of God or sit down in the pews to take in all the beauty. 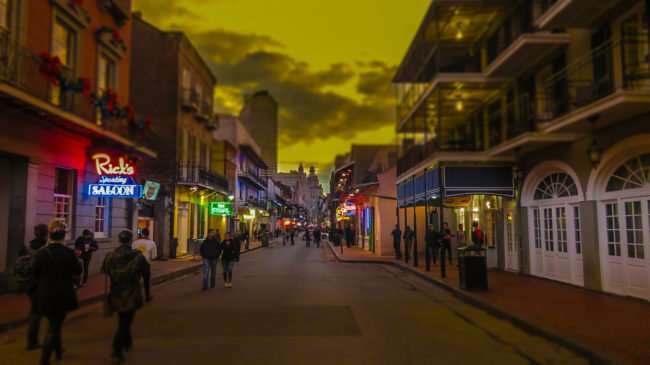 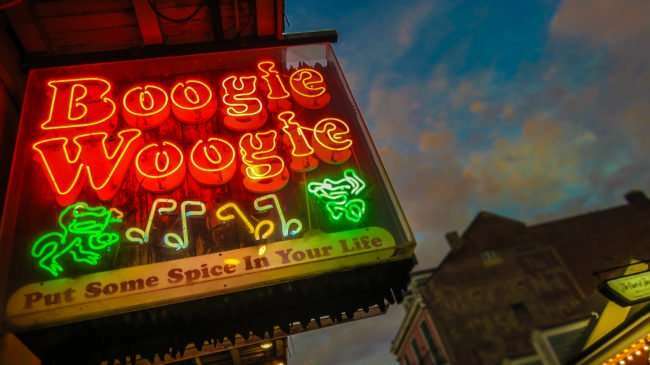 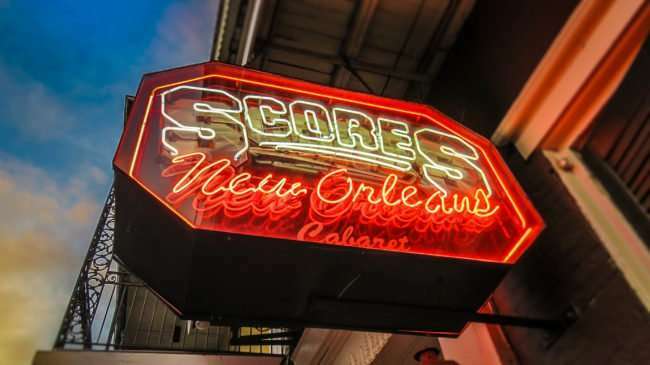 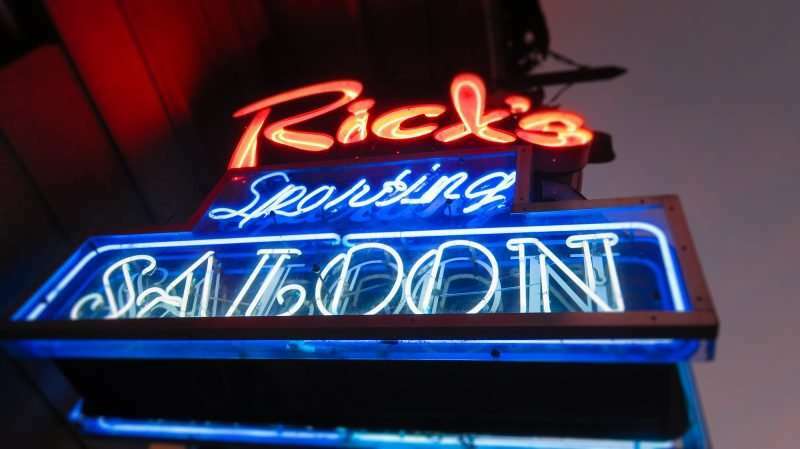 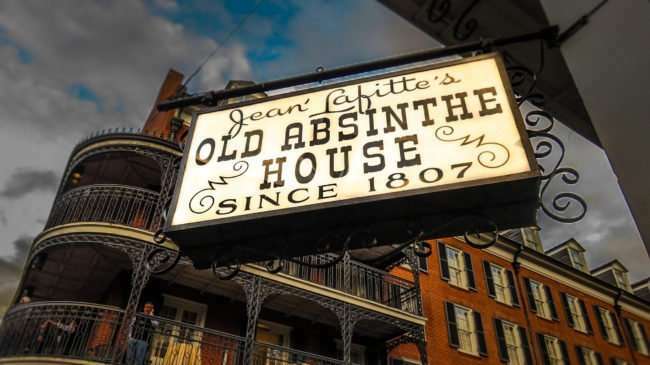 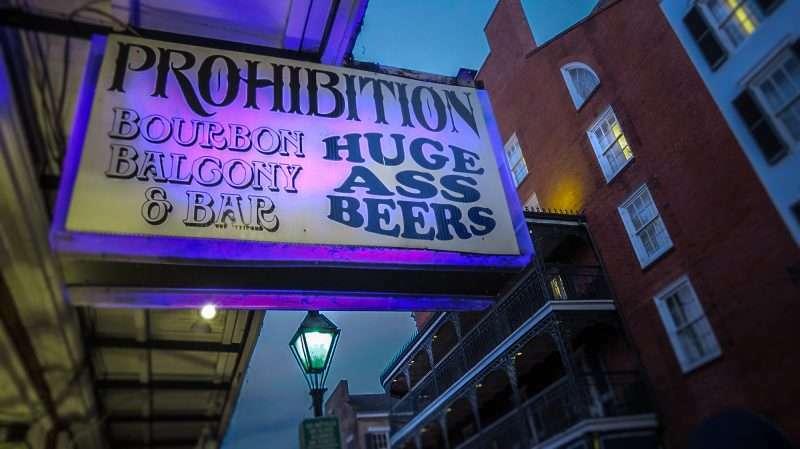 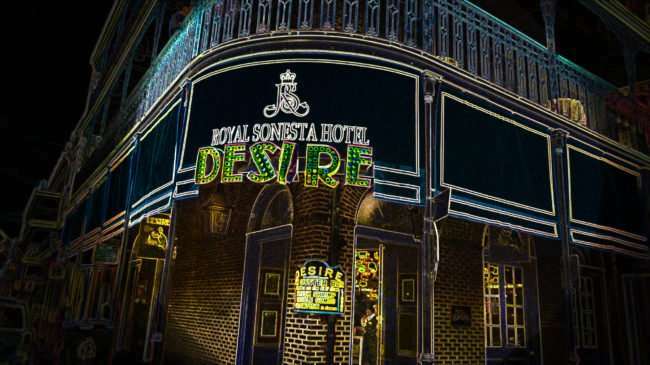 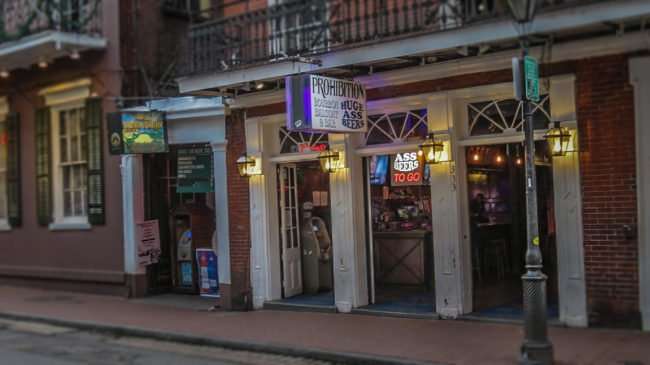 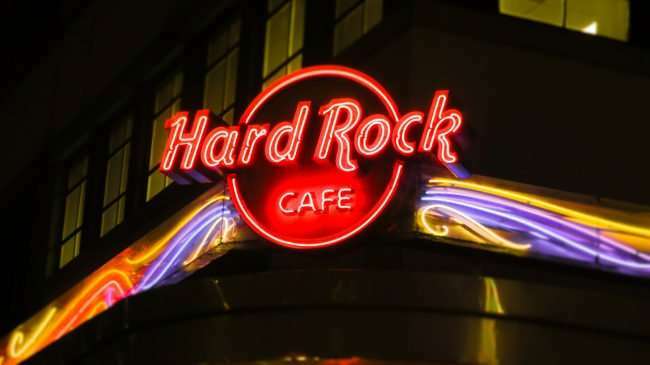 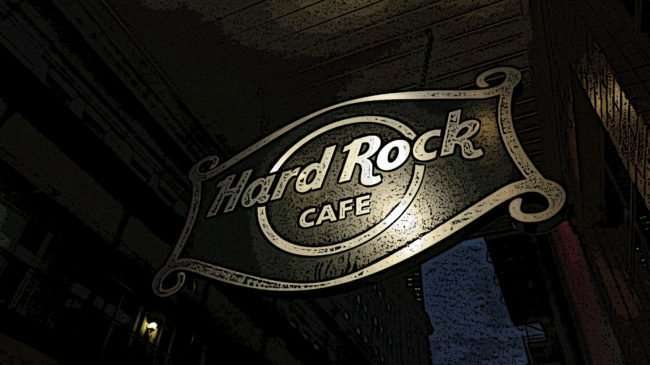 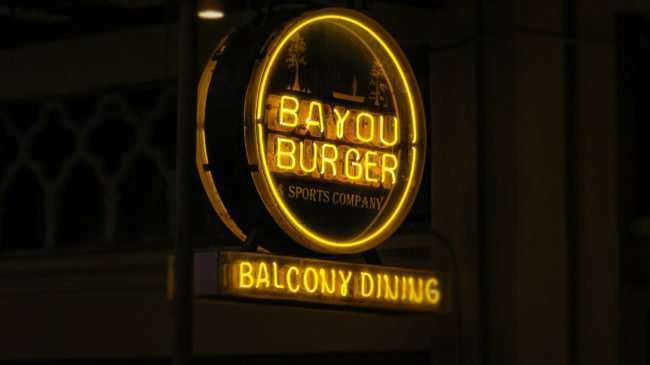 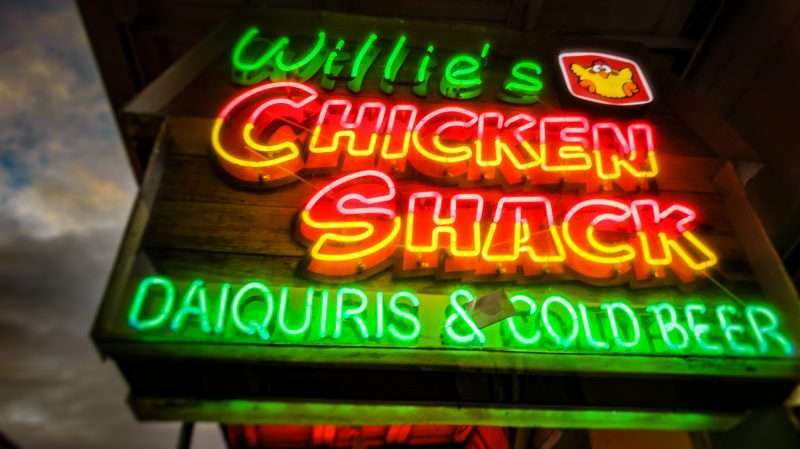 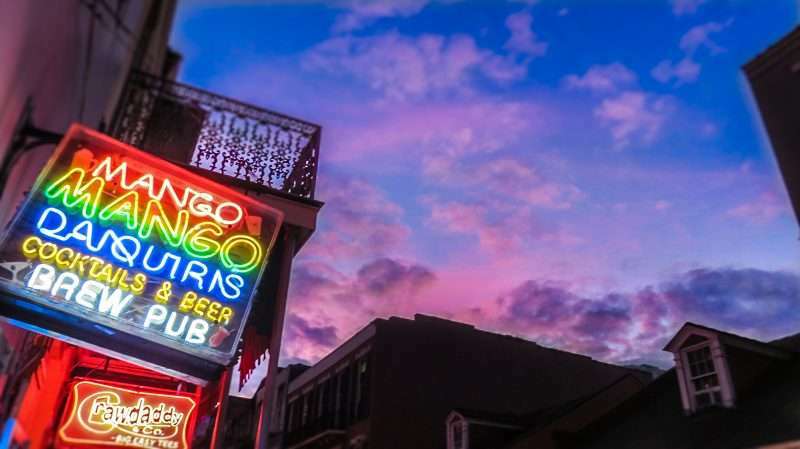 ♦ Daily Mass: 12:05 p.m.
NEW ORLEANS, LA – The Canon PowerShot SX710 HS was tested on Bourbon Street. 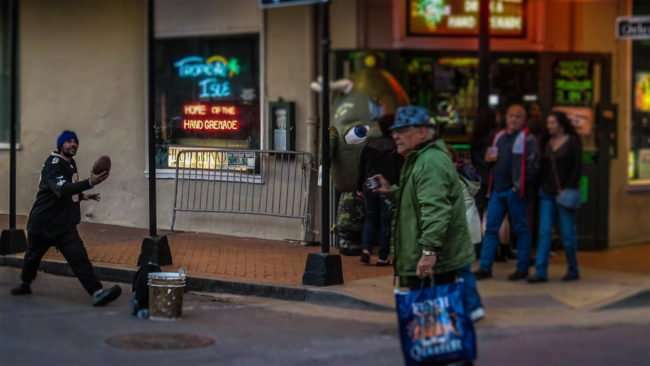 What I found was this is the only camera one would ever need; it does it all. 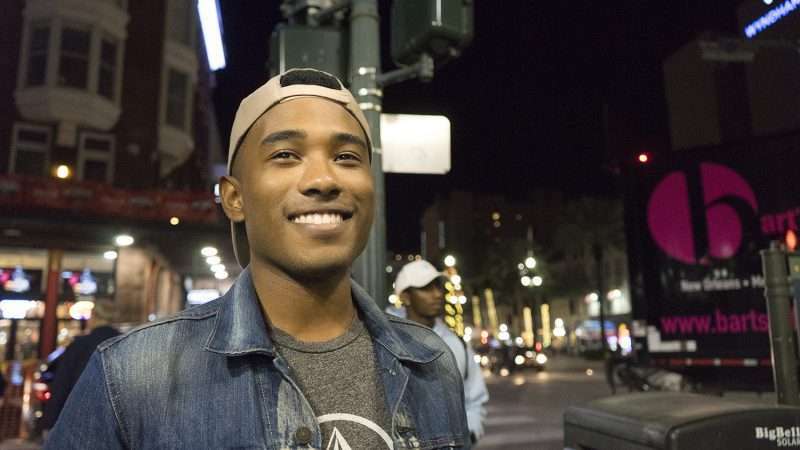 The music video below is a photo gallery taken while the sun was setting. This is a time known by photographers as the Golden Hour or Magic Hour.